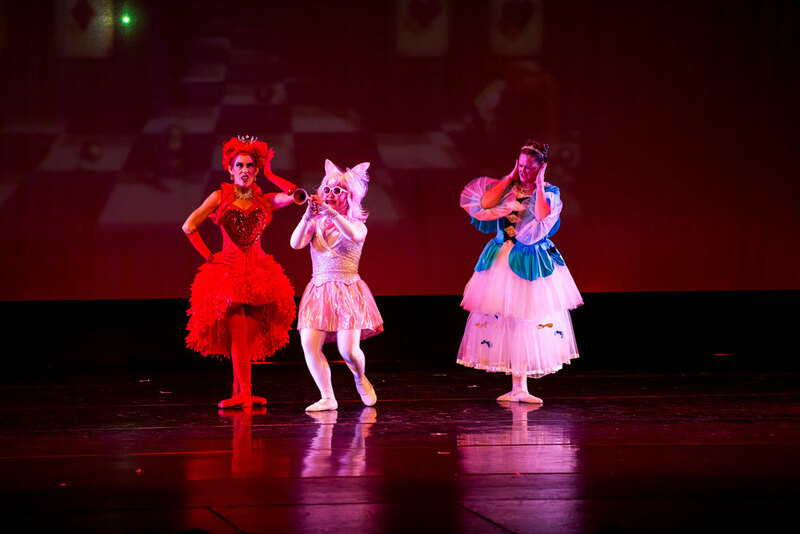 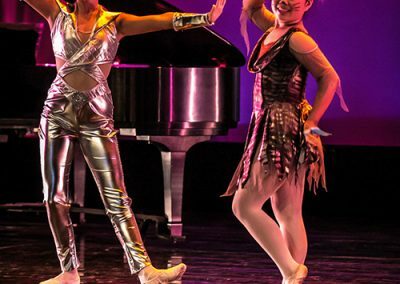 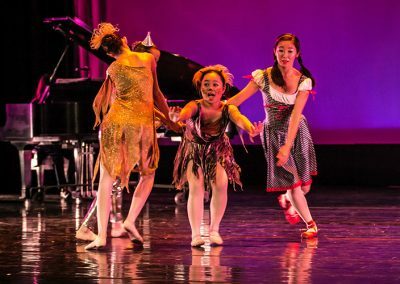 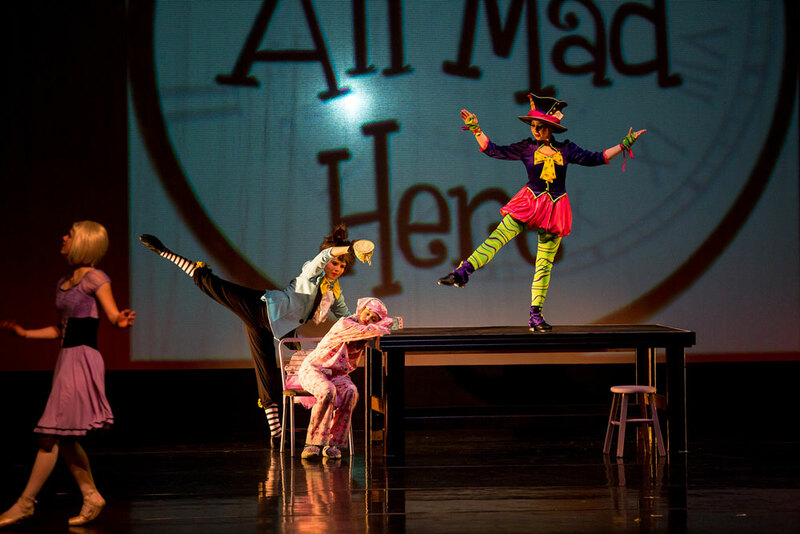 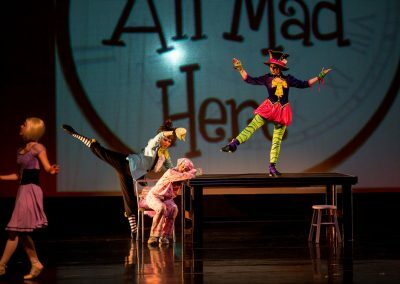 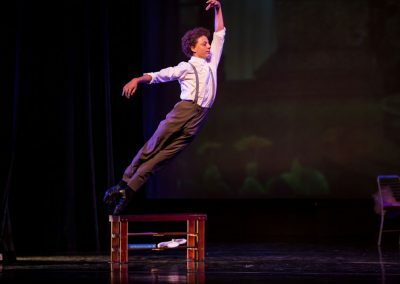 A fresh, jazzy touch on the beloved classic “Alice’s Adventures in Wonderland,” this production brings to life the Lewis Carroll classic with a fresh twist inspired by Christopher Wheeldon’s choreography for The Royal Ballet’s “Alice’s Adventures in Wonderland,” (which premiered in 2011) and features the music of Joby Talbot and Carl Davis. 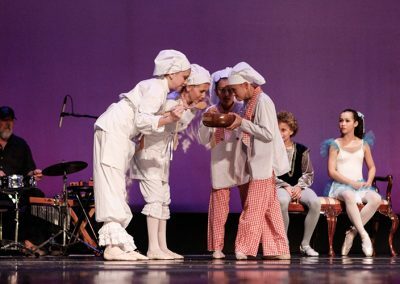 The story of Little Snow White was originally published in 1812 by Jacob and Wilhelm Grimm as one of many stories contained in their book Children’s and Household Tales or what is today more commonly known as Grimm’s Fairy Tales. 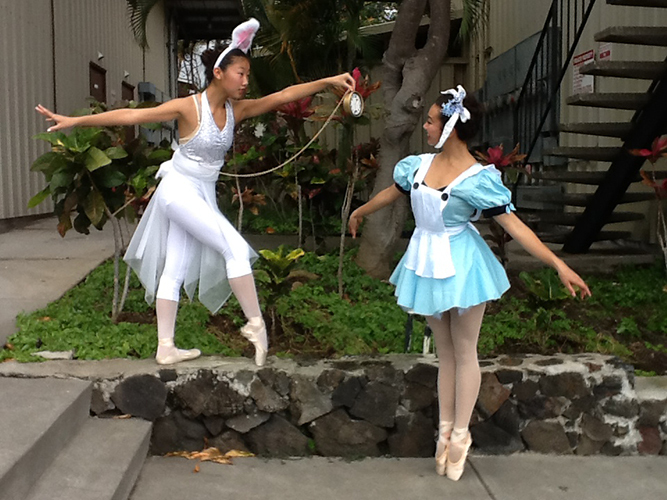 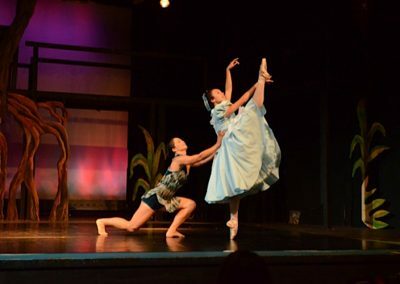 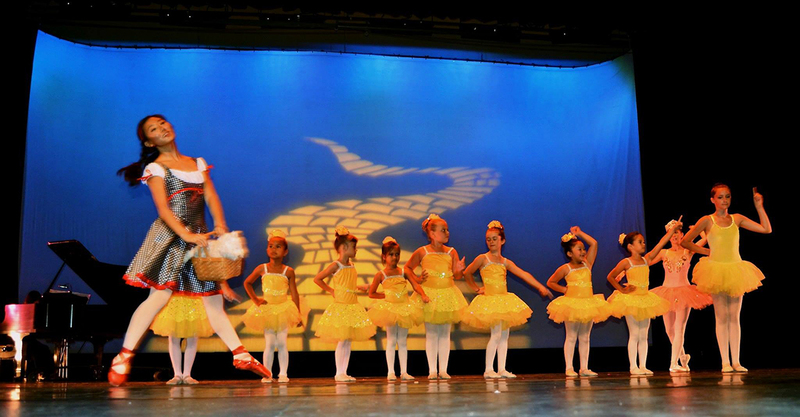 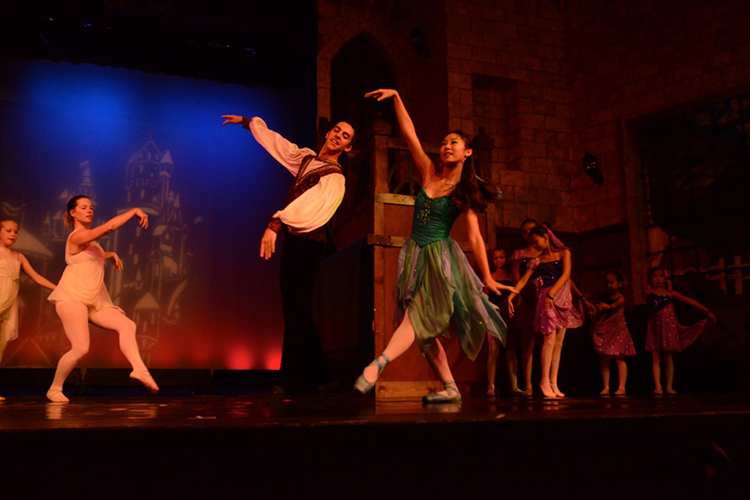 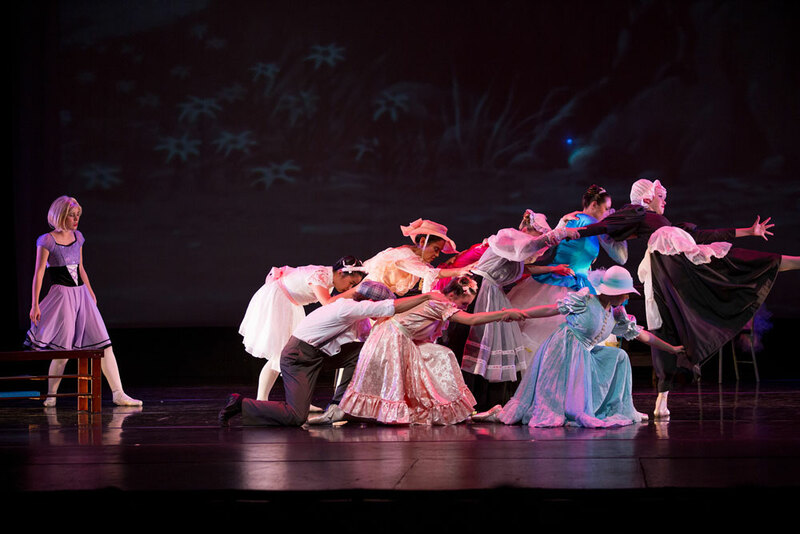 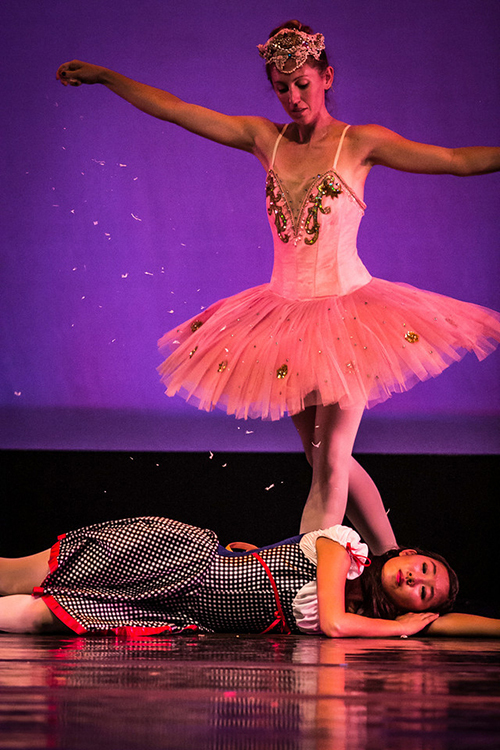 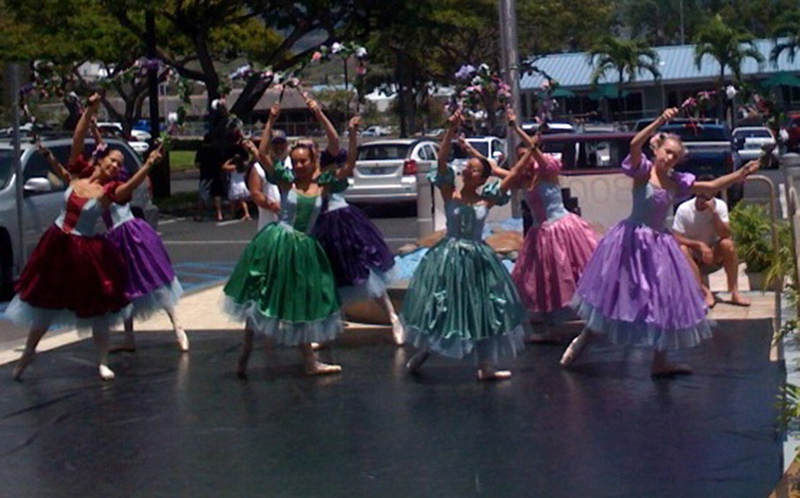 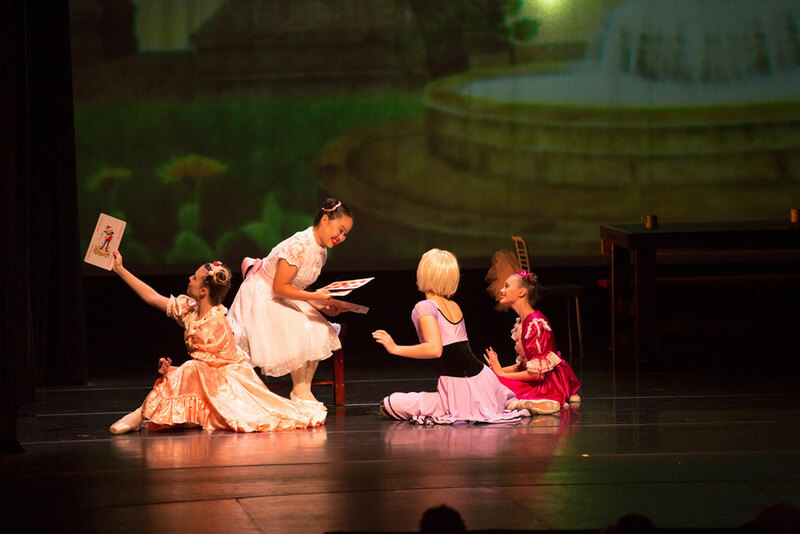 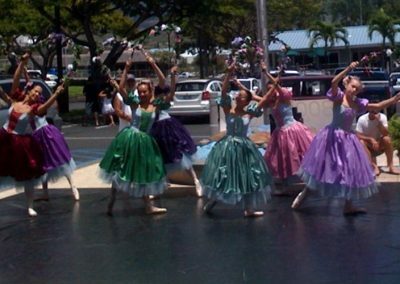 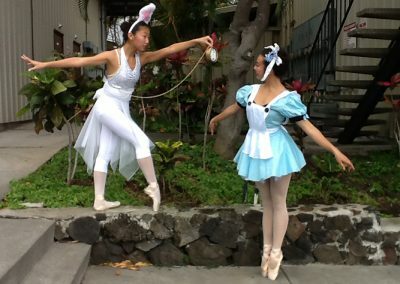 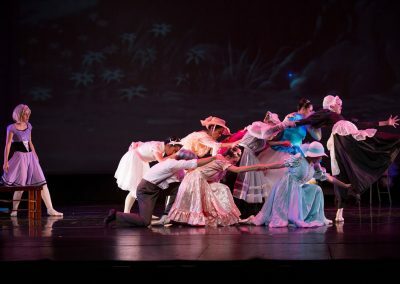 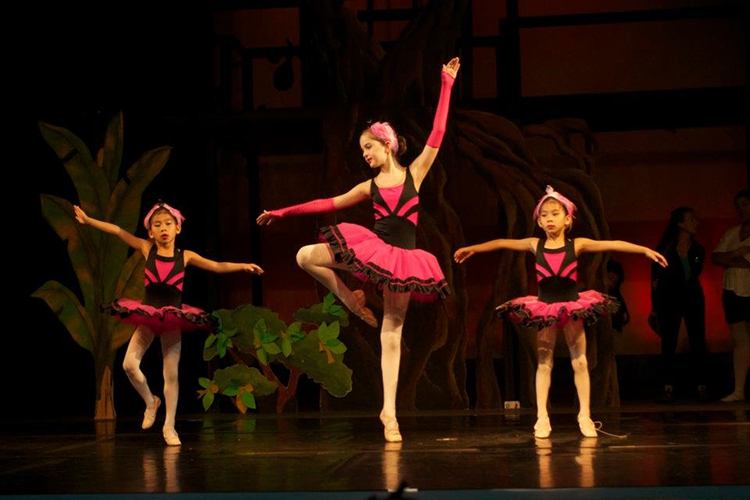 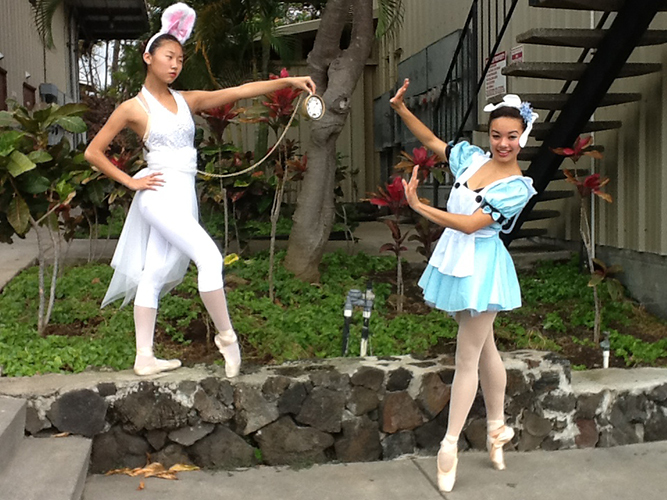 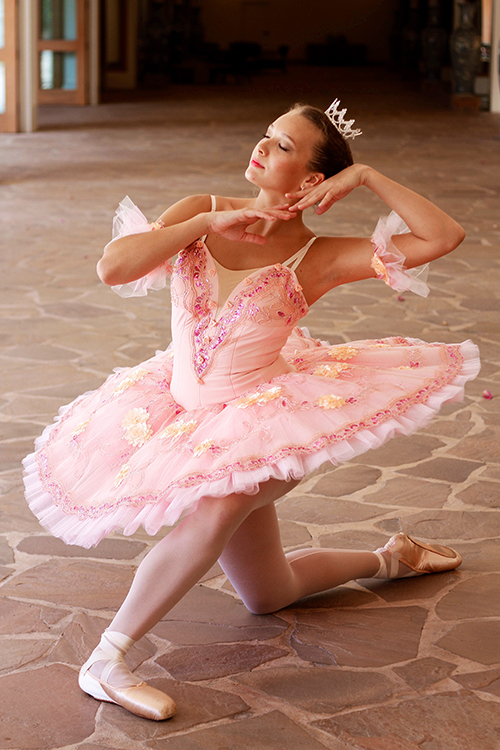 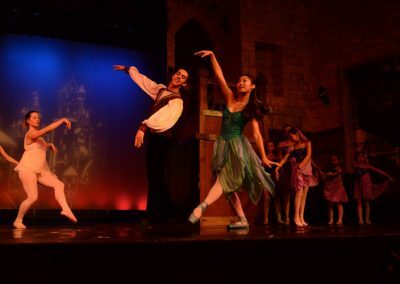 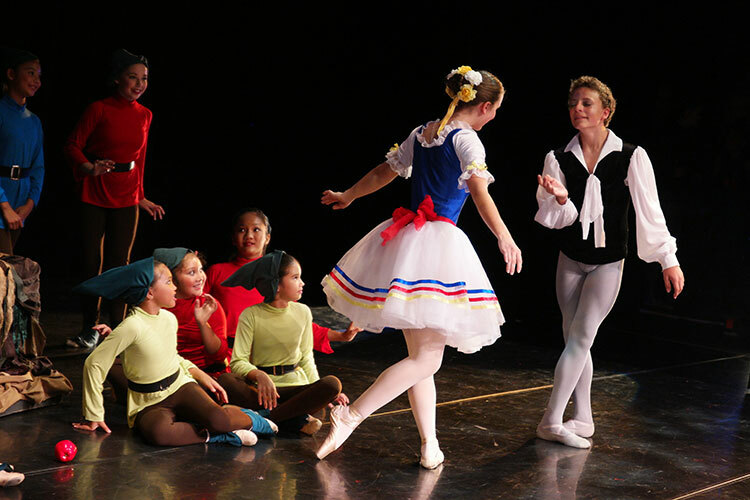 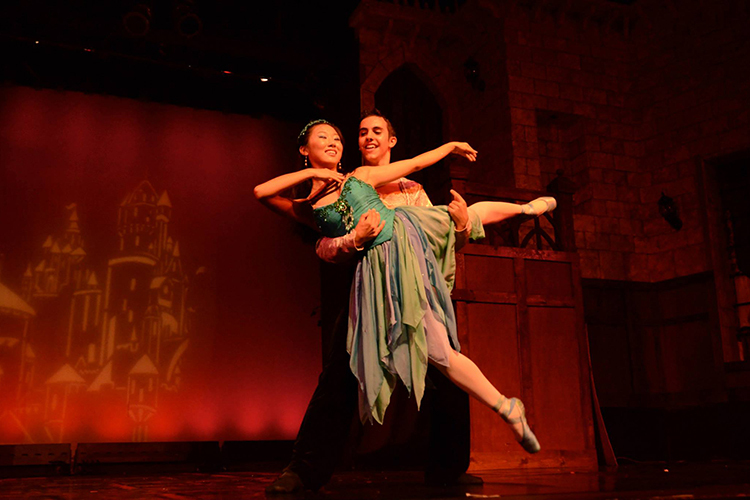 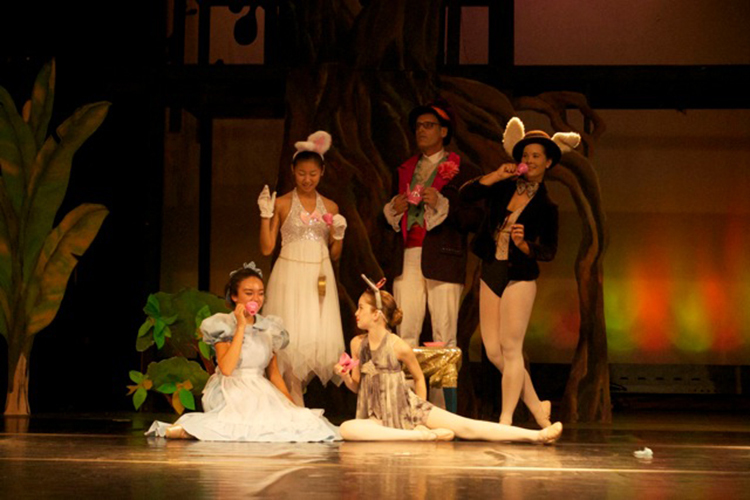 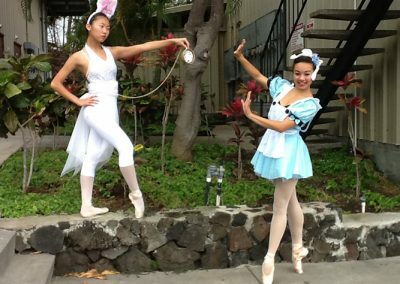 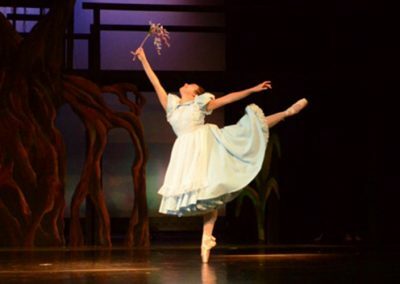 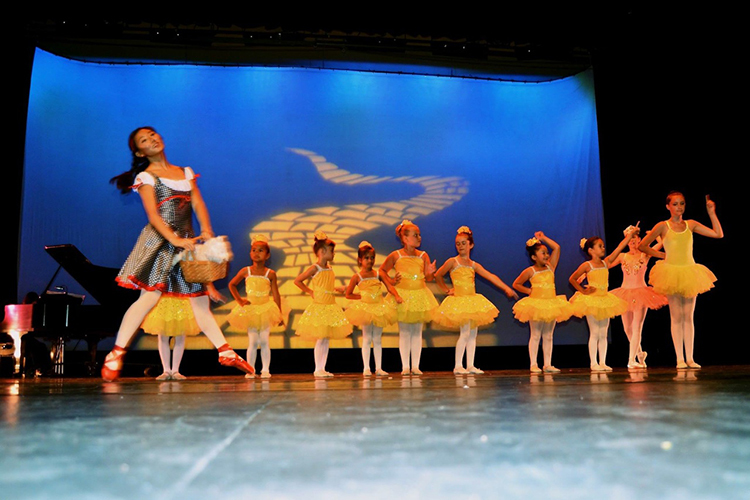 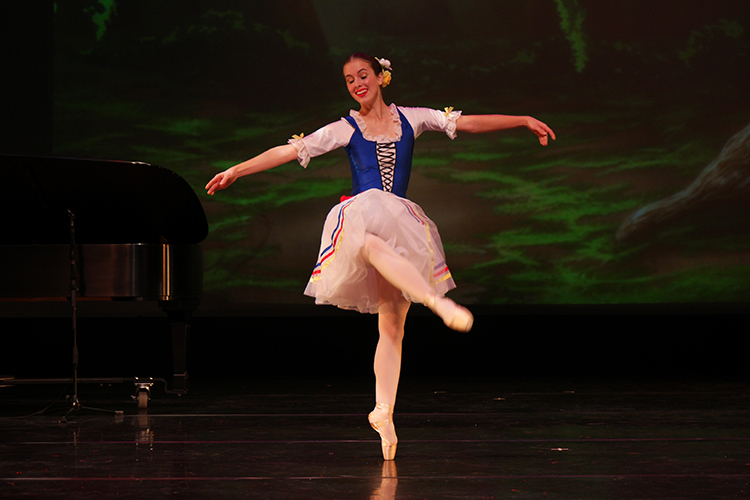 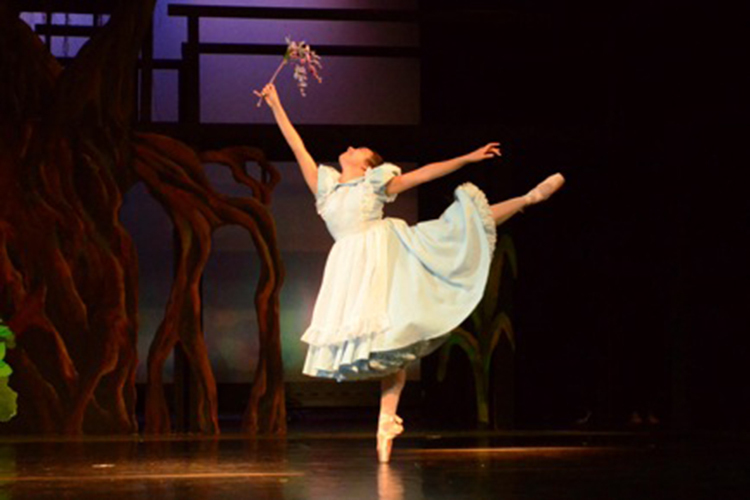 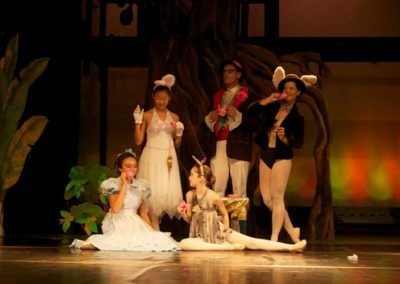 All of us at West Hawaii Dance Theatre had a wonderful time recreating this beloved fairy tale. 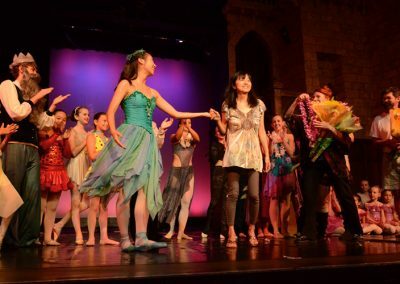 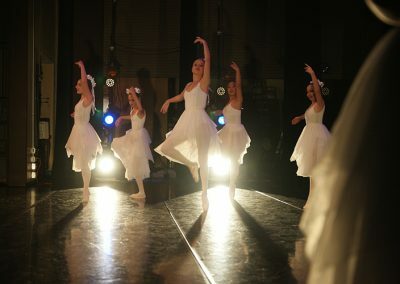 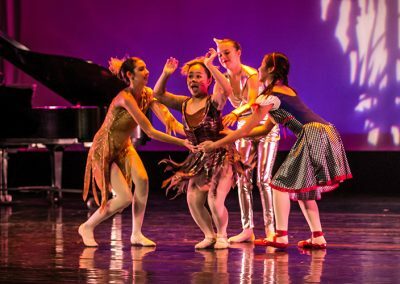 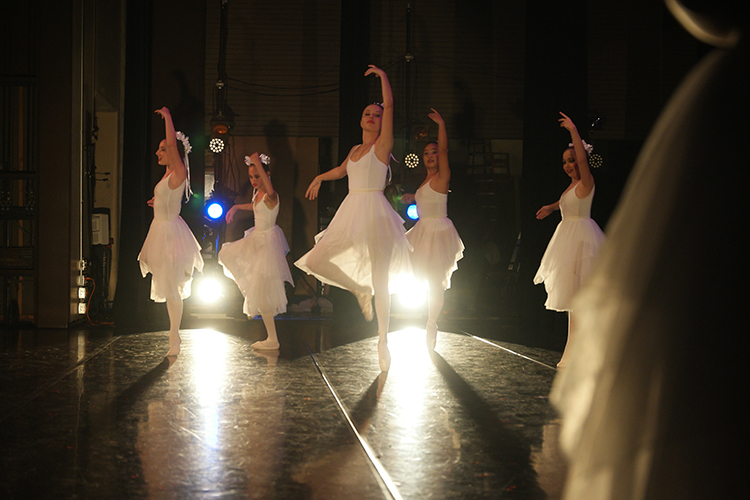 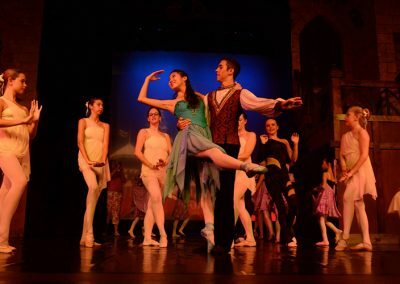 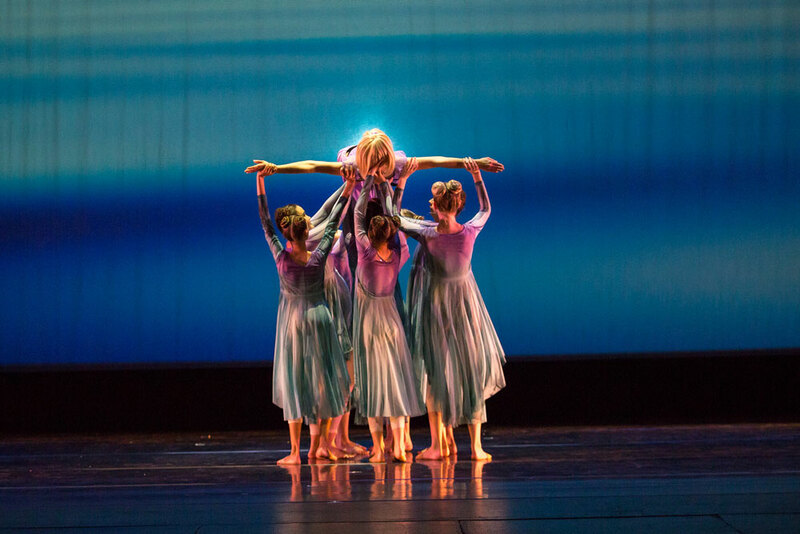 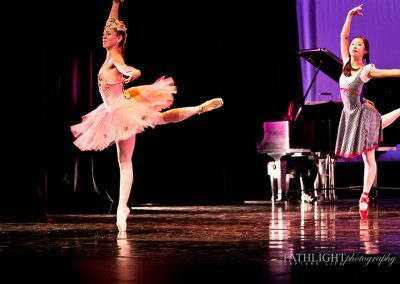 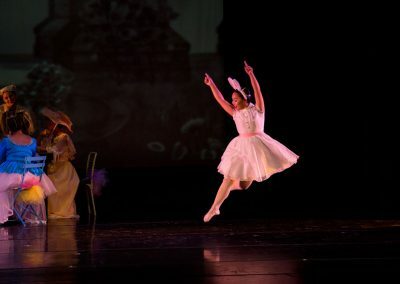 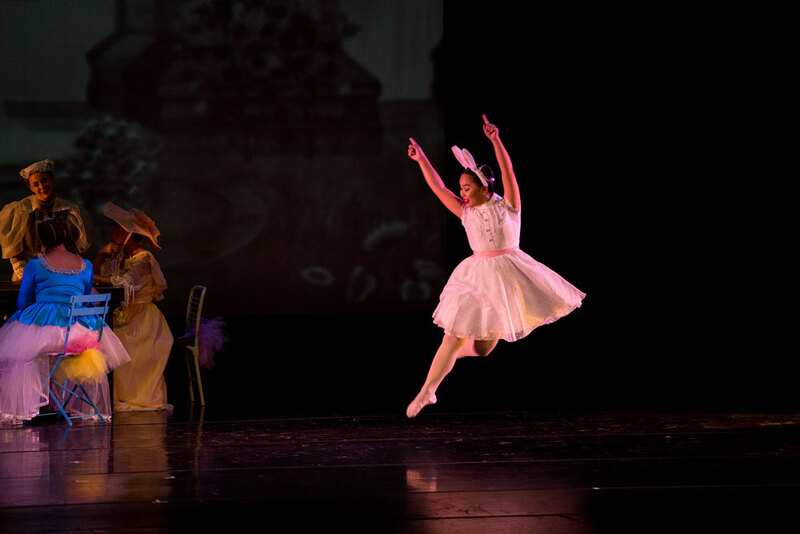 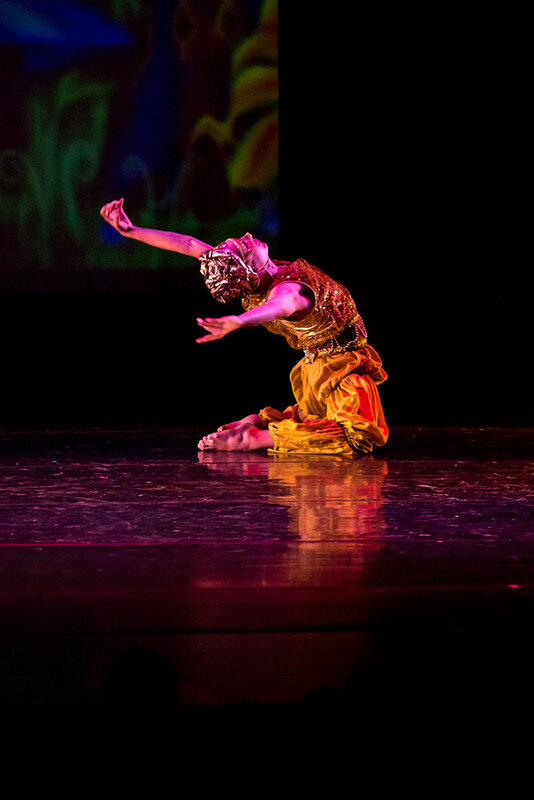 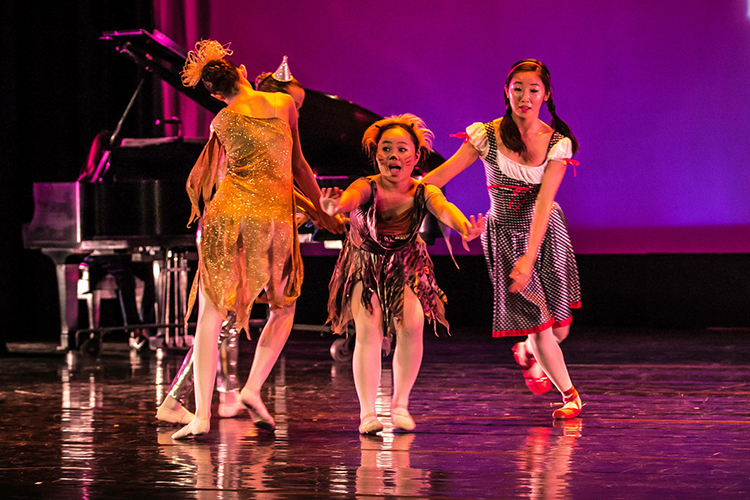 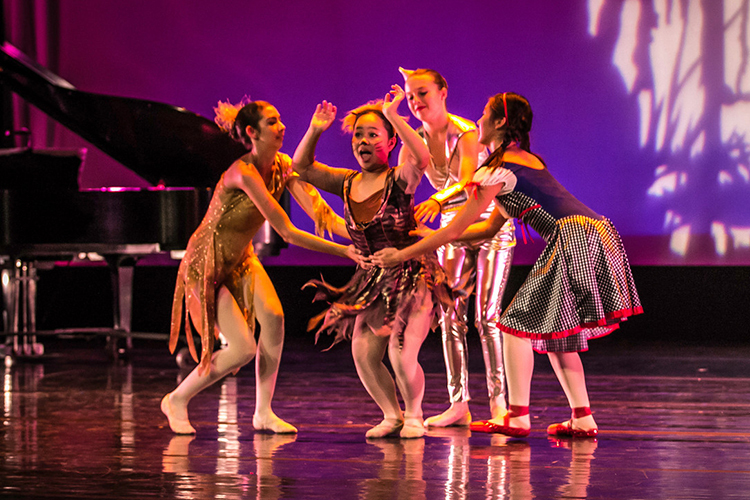 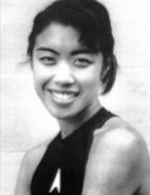 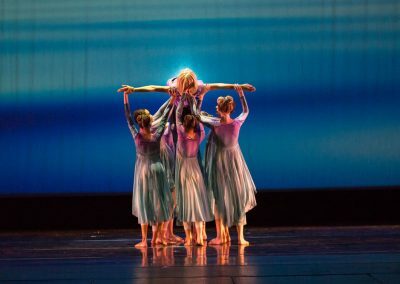 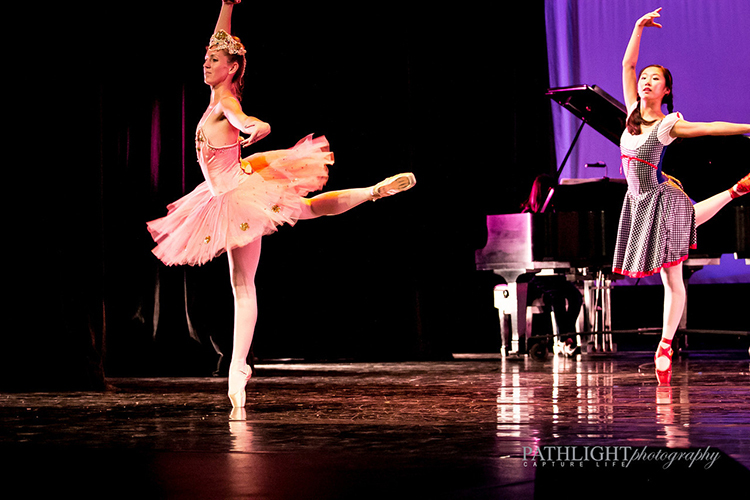 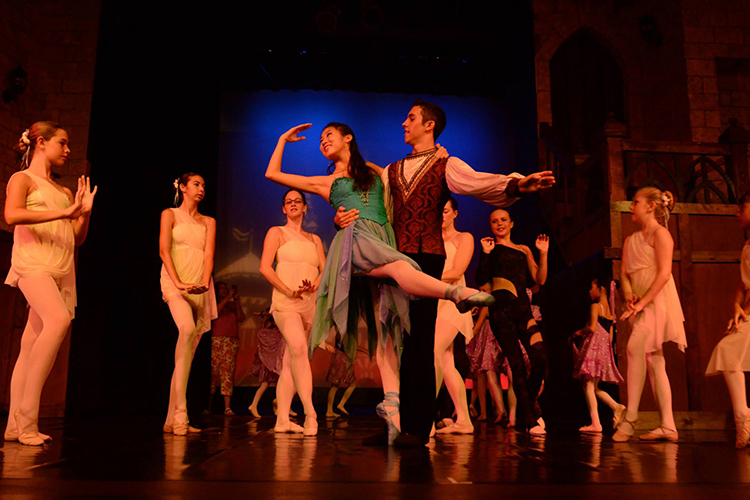 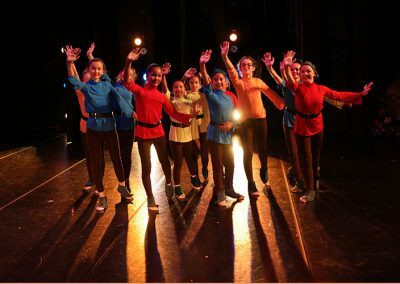 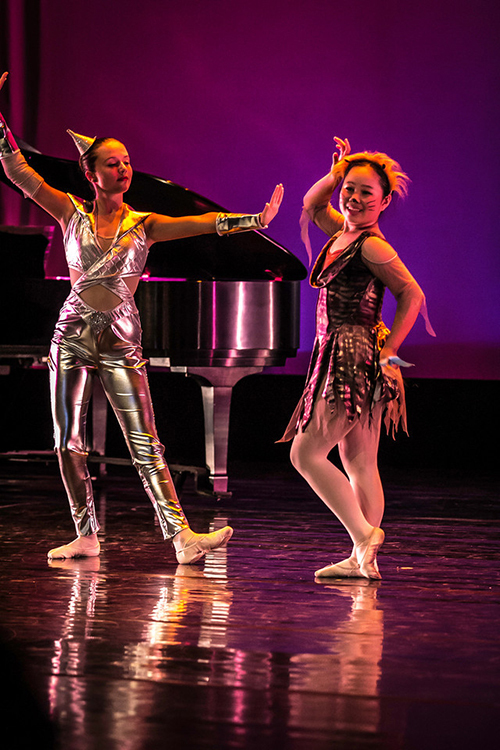 With the help of our pianist, Megumi Kopp, we all worked together to make the story come to life as an original ballet. 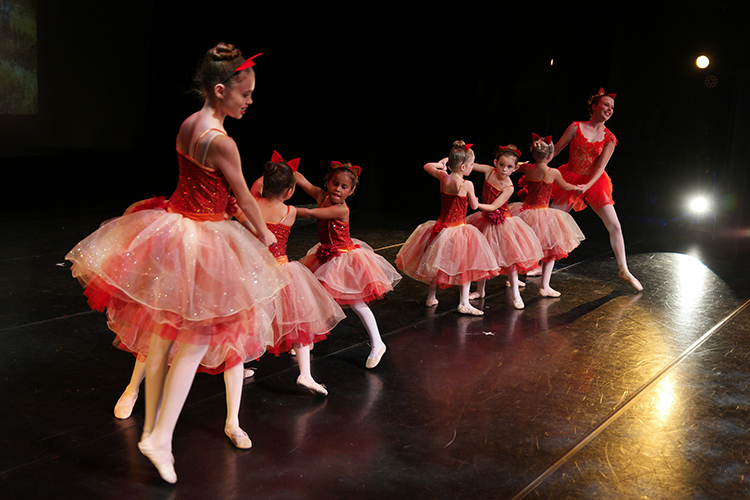 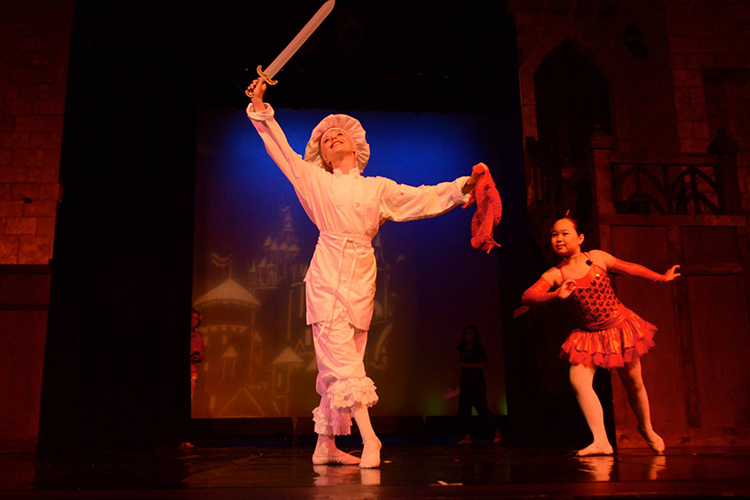 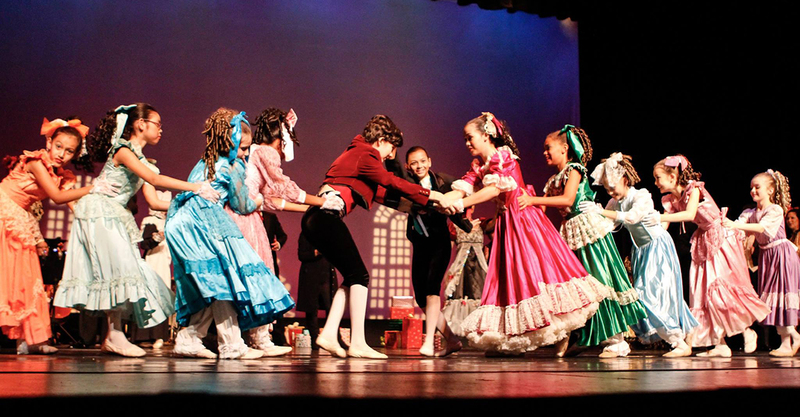 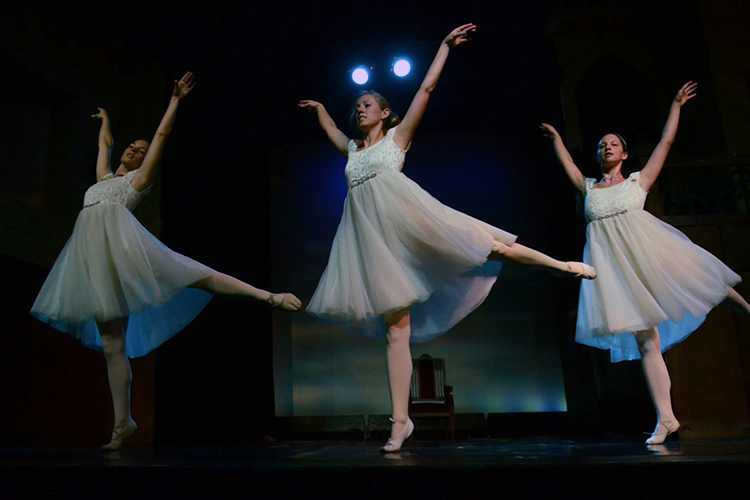 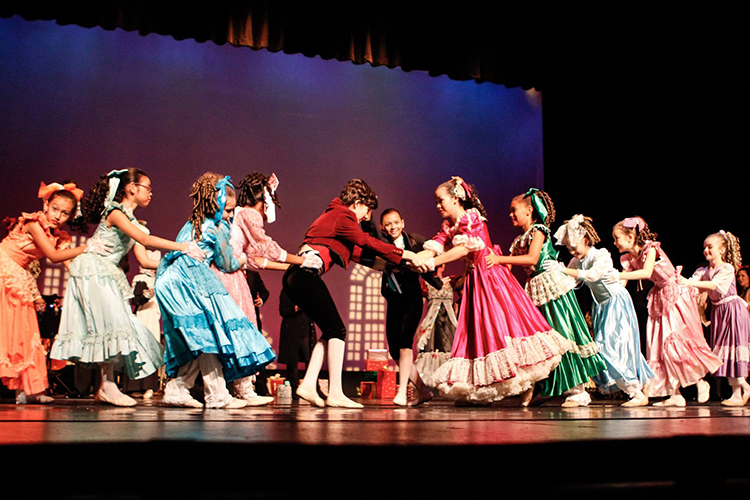 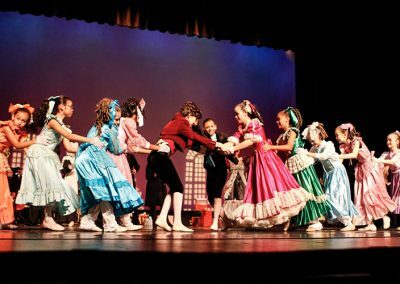 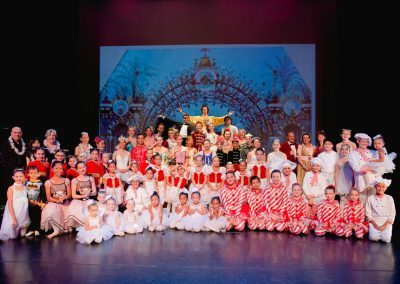 The enthusiastic response to our 2014 revival of the 1997 full-length production of “The Nutcracker” led us to do it again! 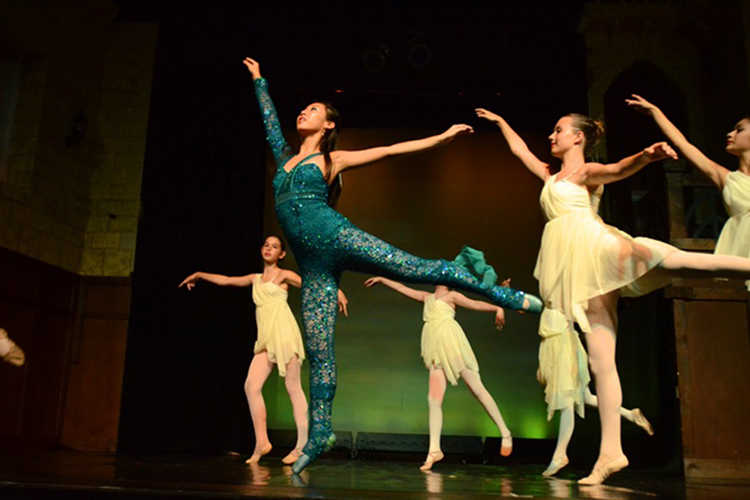 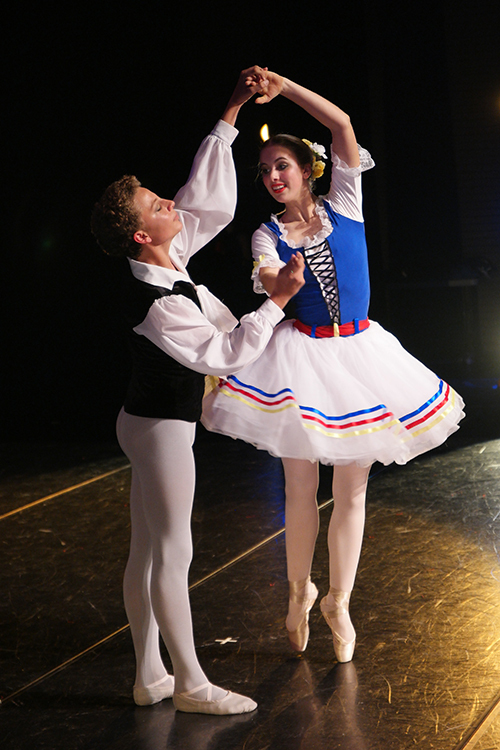 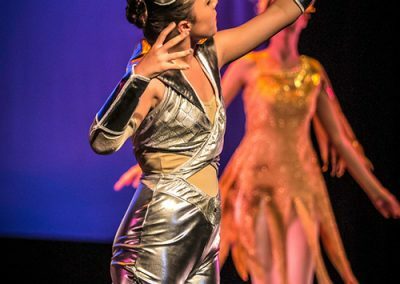 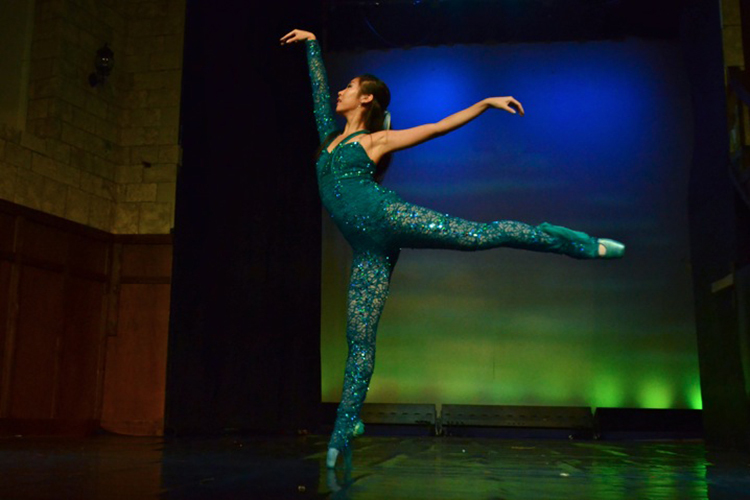 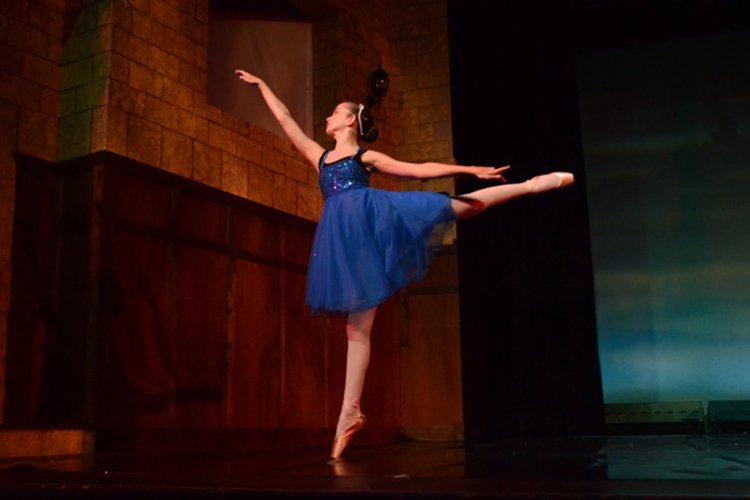 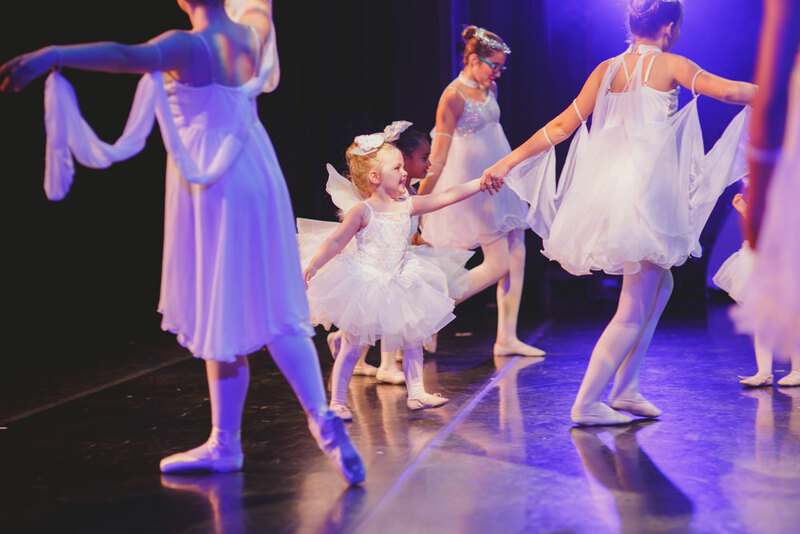 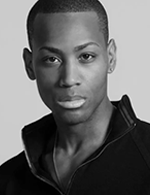 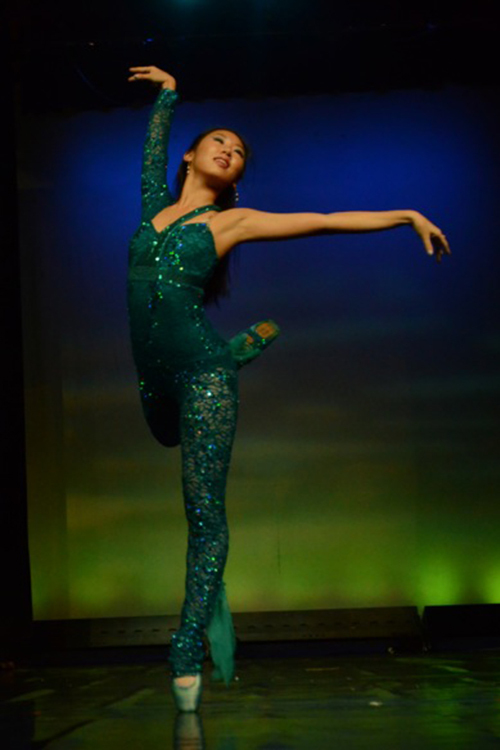 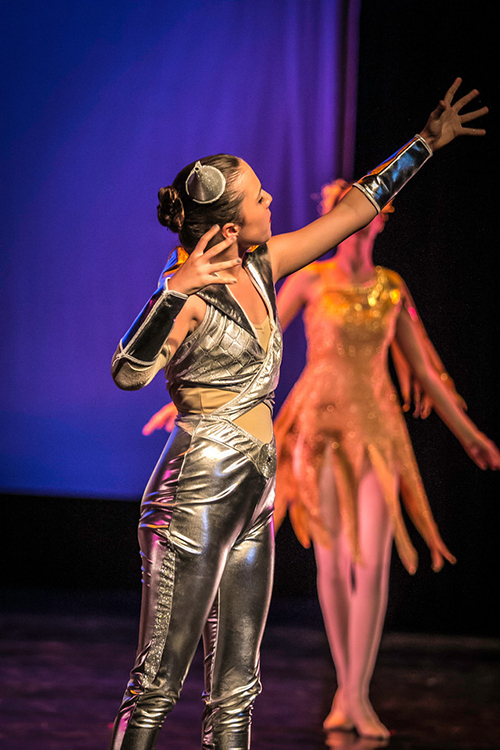 Our dancers trained continuously all year for an even stronger and more polished technical performance. 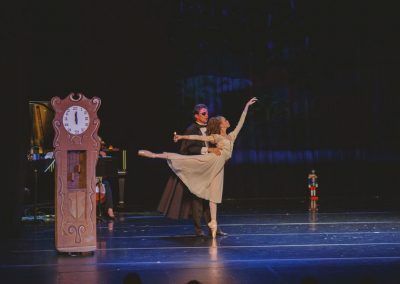 Additionally, we refurbished more of our original costumes, added different backgrounds, and even found our original grandfather clock set piece that was in hiding for 18 years. 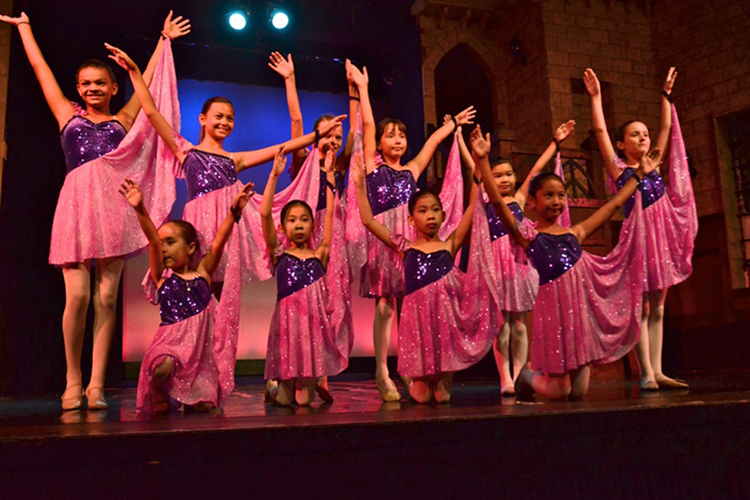 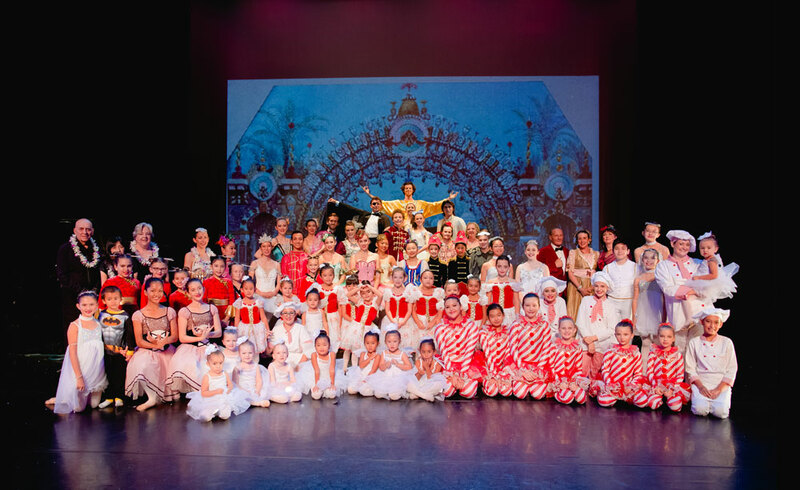 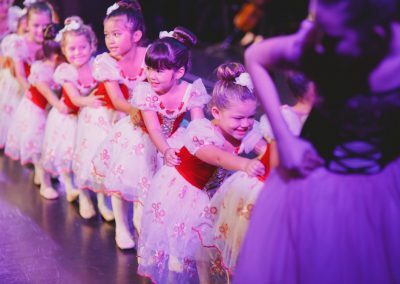 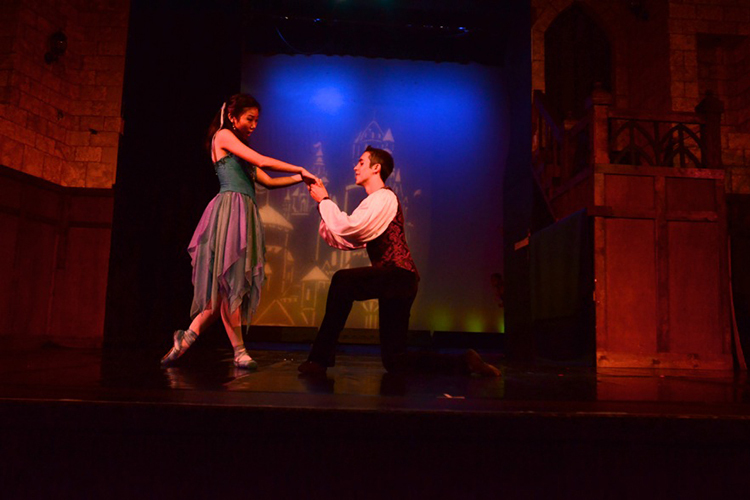 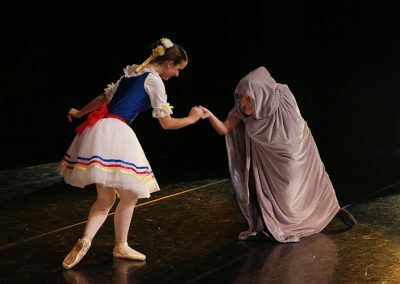 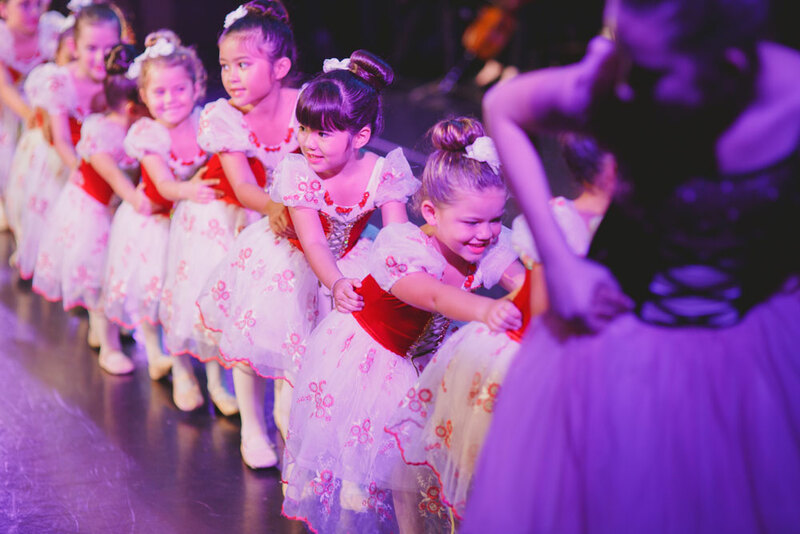 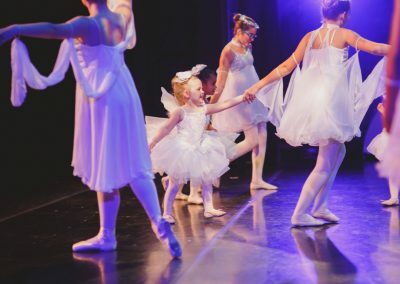 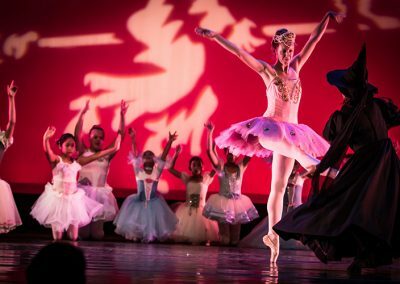 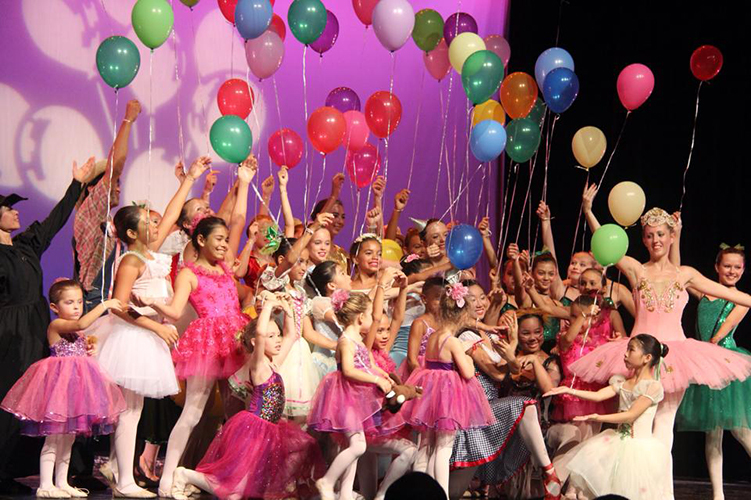 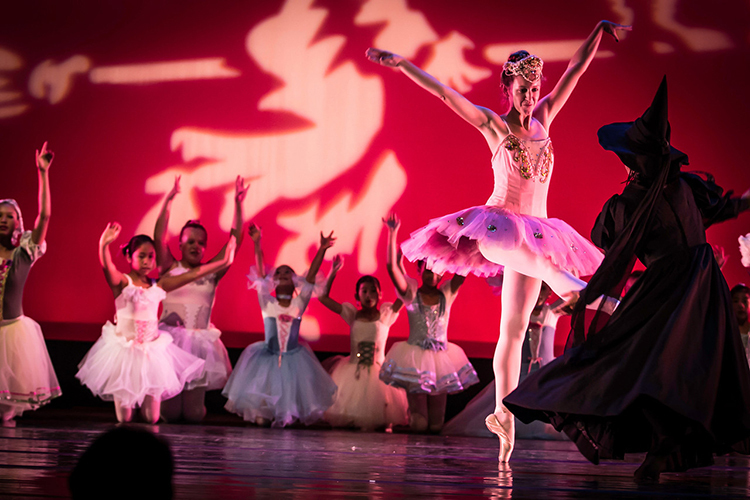 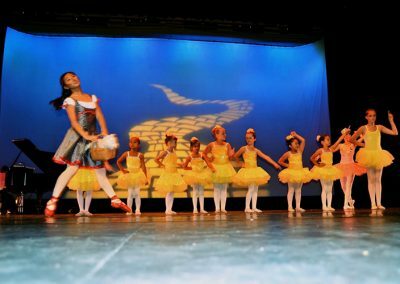 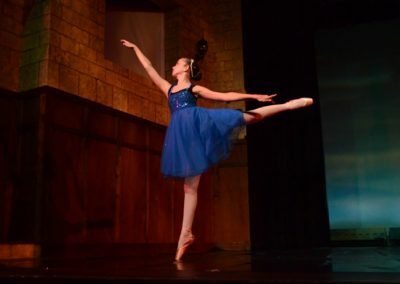 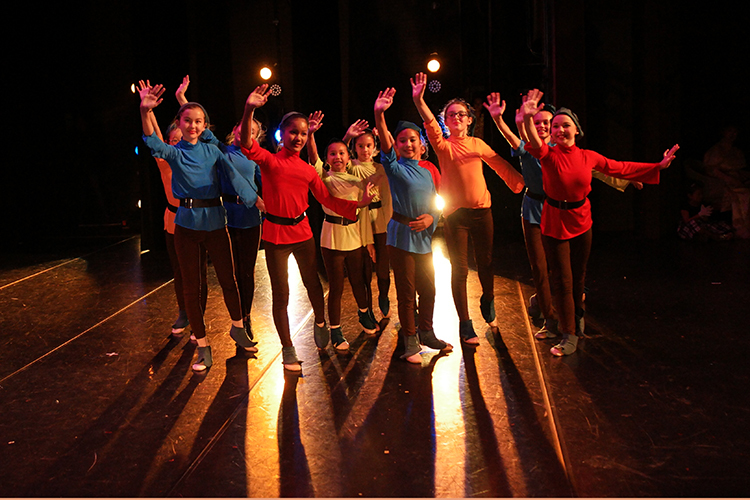 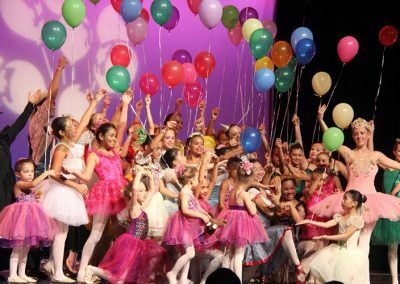 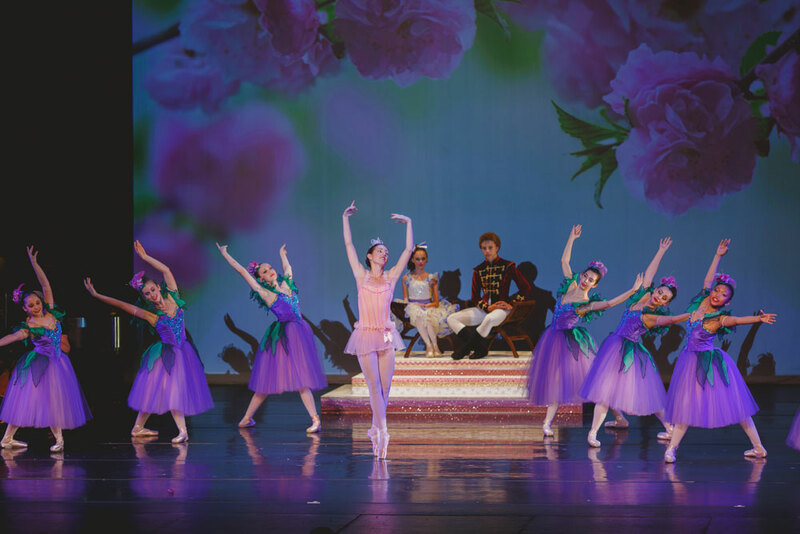 Over 60 of WHDTA’s dancers brought to life the enchanting story of Princess Aurora, bewitched by the evil Carabosse and placed along with her kingdom into a deep and protective sleep. 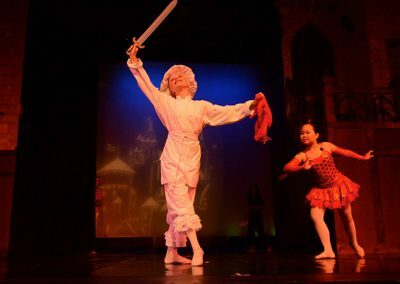 In four swiftly moving scenes, the drama and excitement of this classic tale are enhanced by the fluid pacing and continuing development of characters. 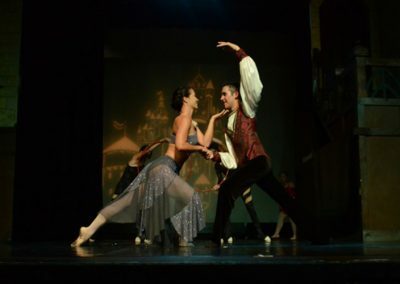 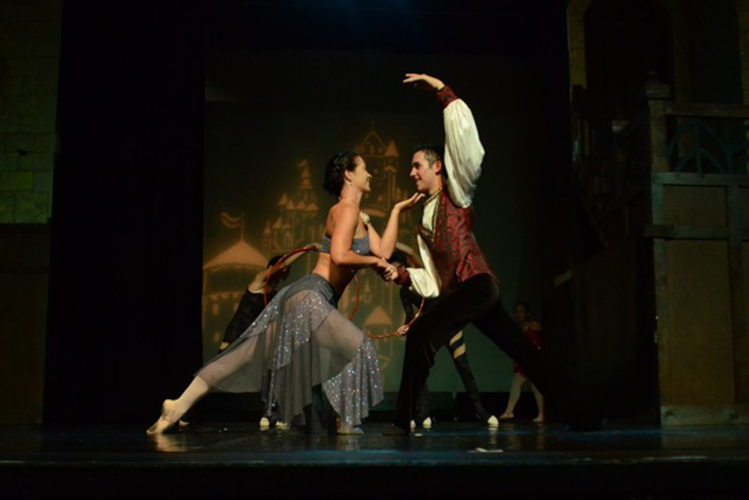 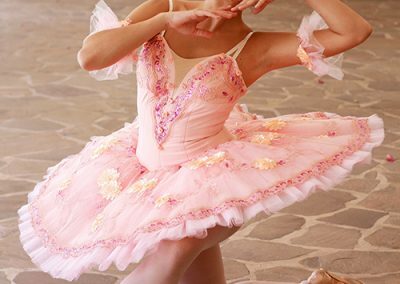 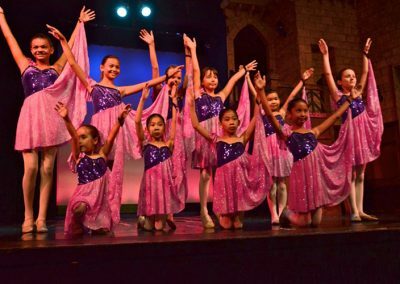 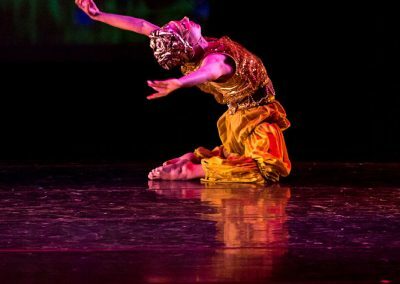 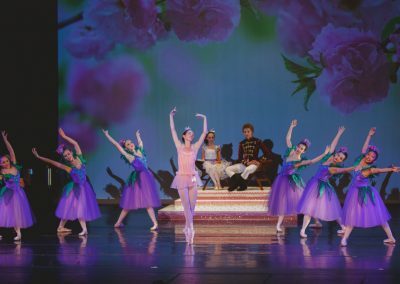 Sumptuous costumes, backgrounds, and brilliant classical ballet performances by our local dance artists mesmerized audience members. 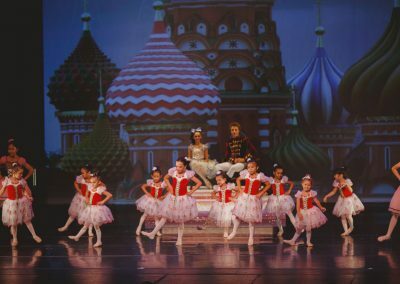 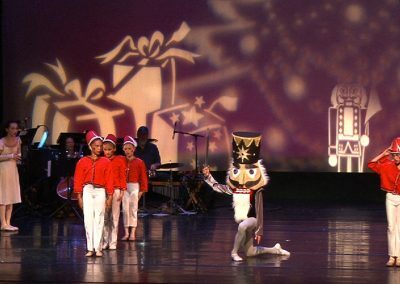 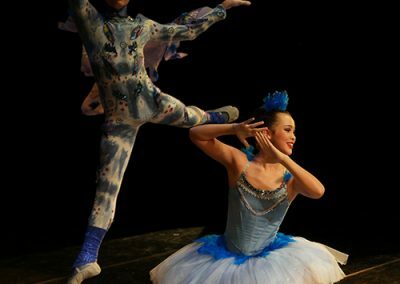 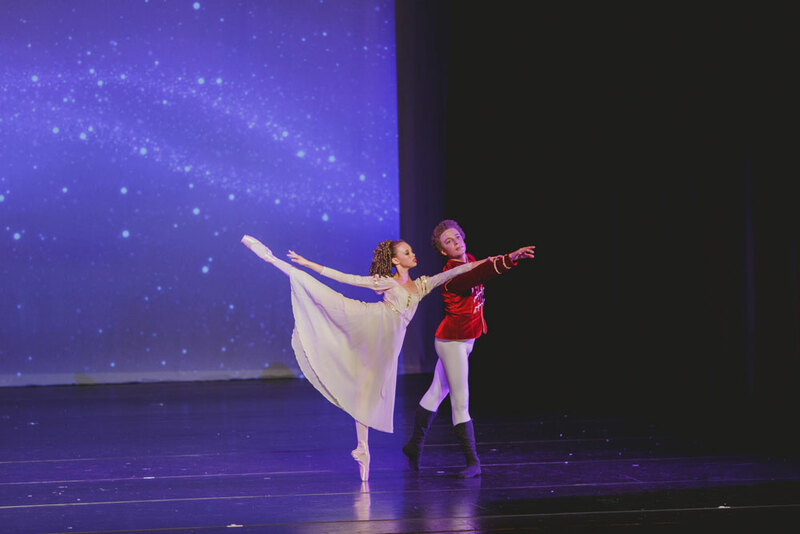 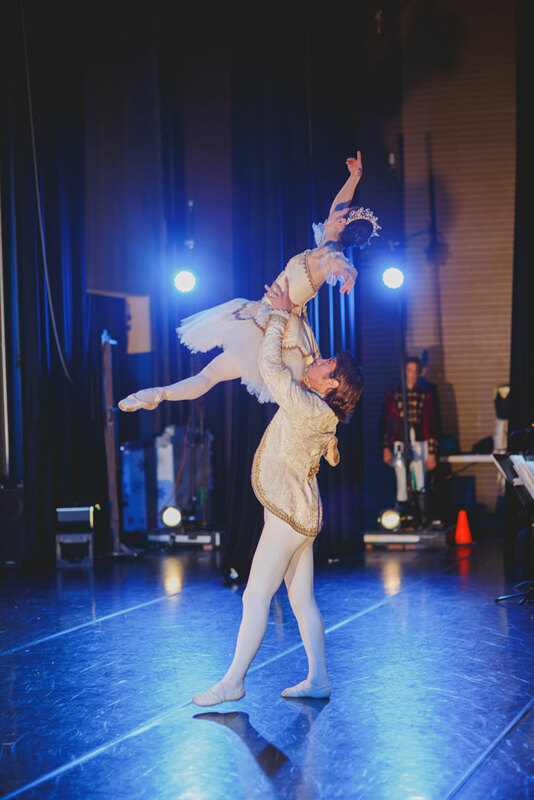 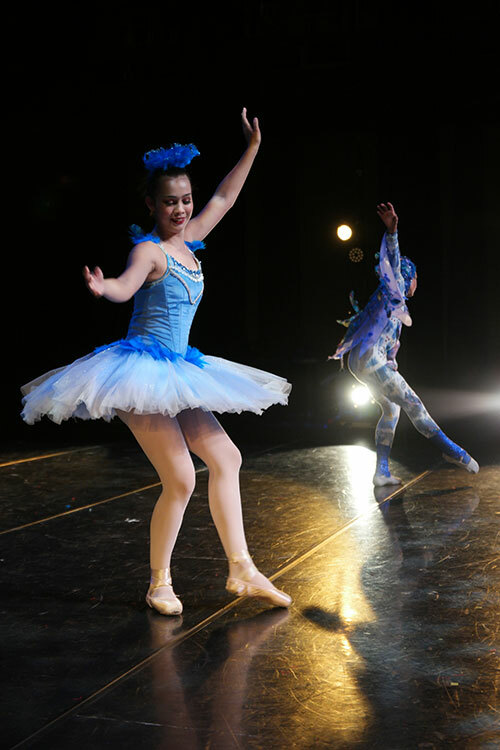 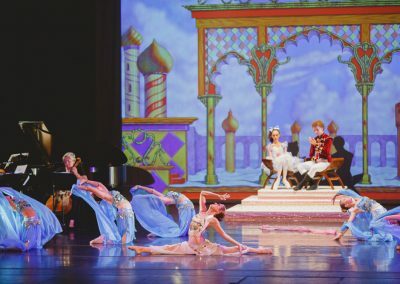 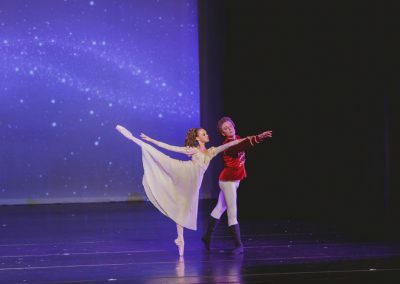 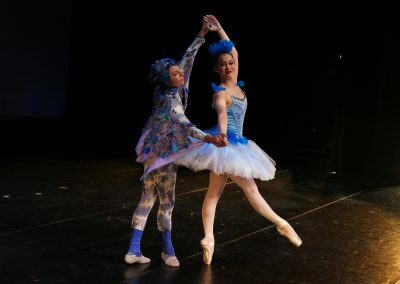 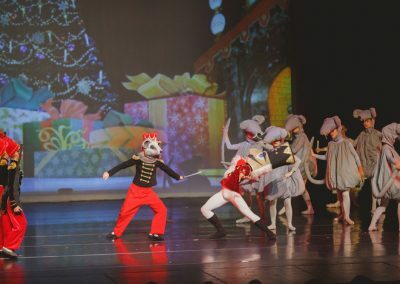 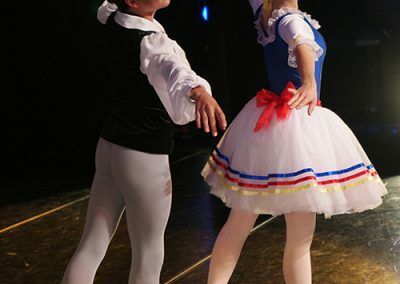 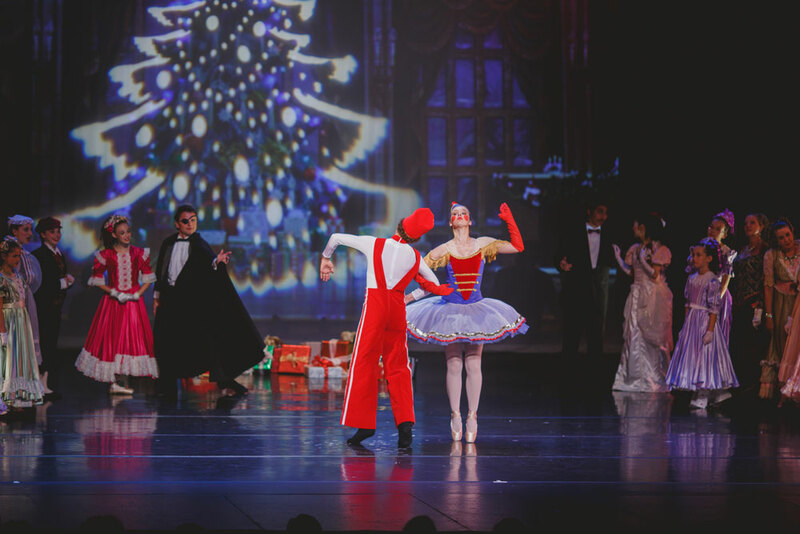 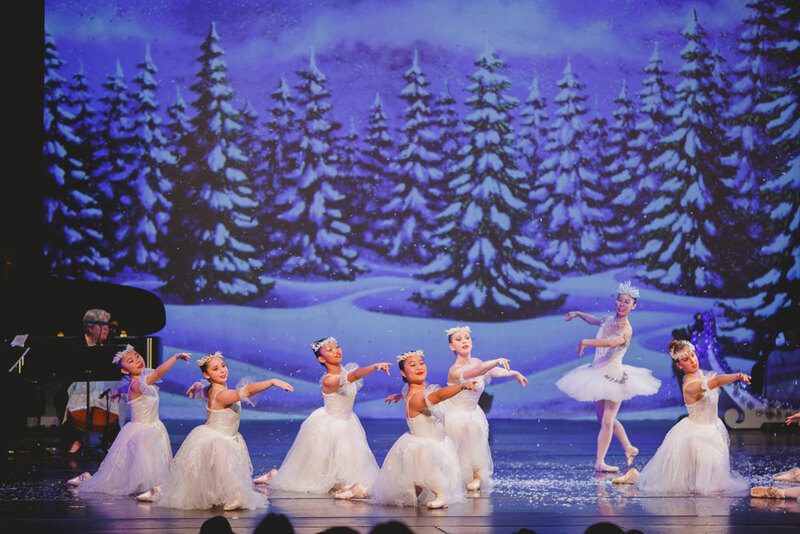 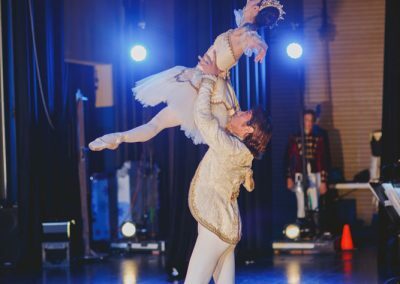 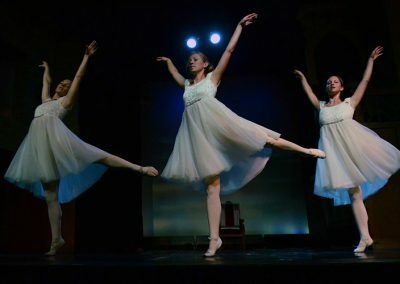 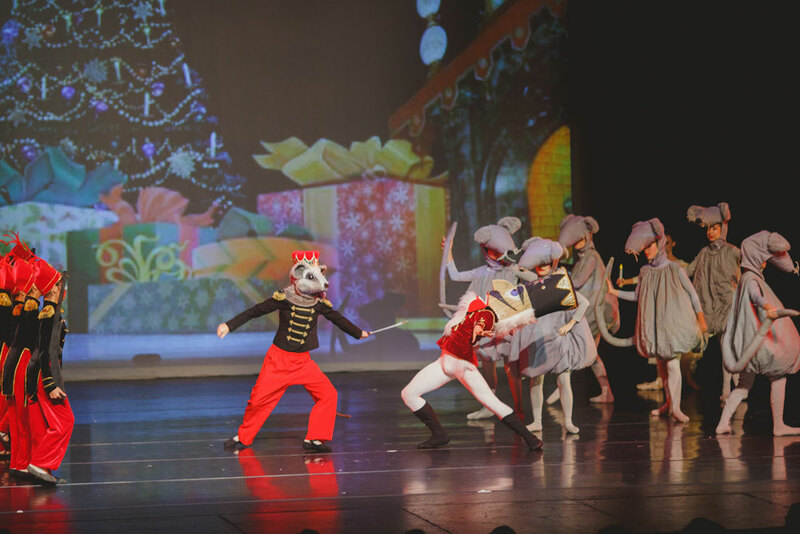 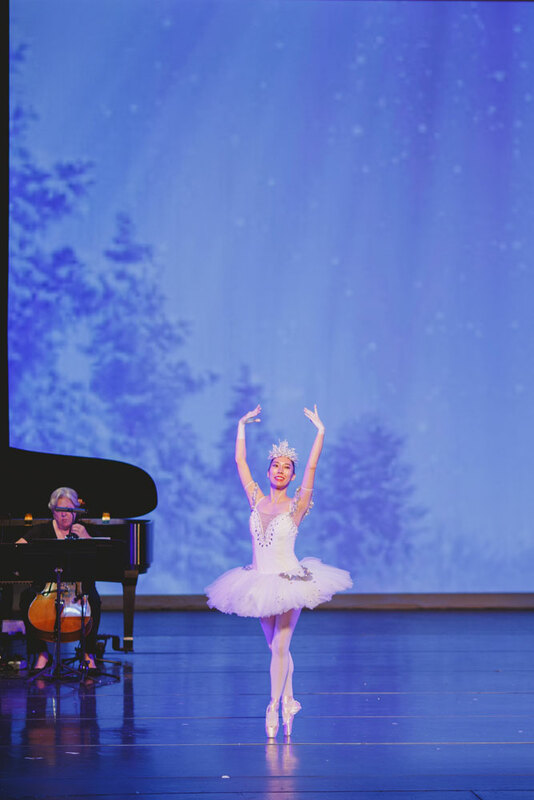 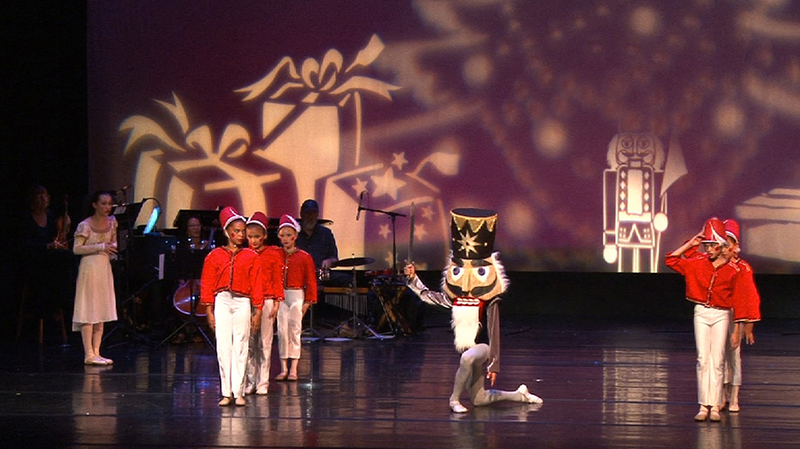 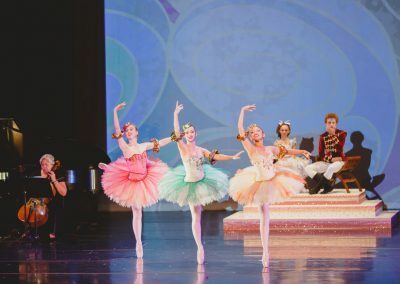 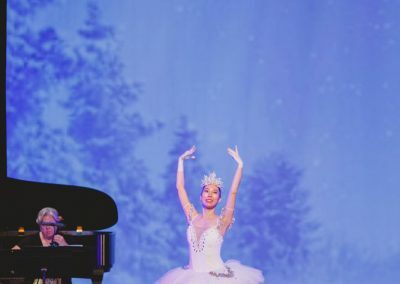 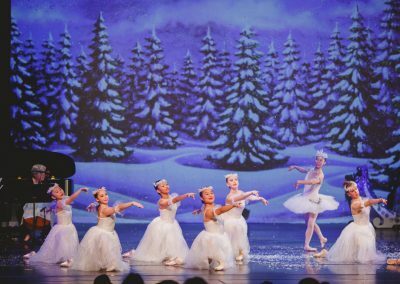 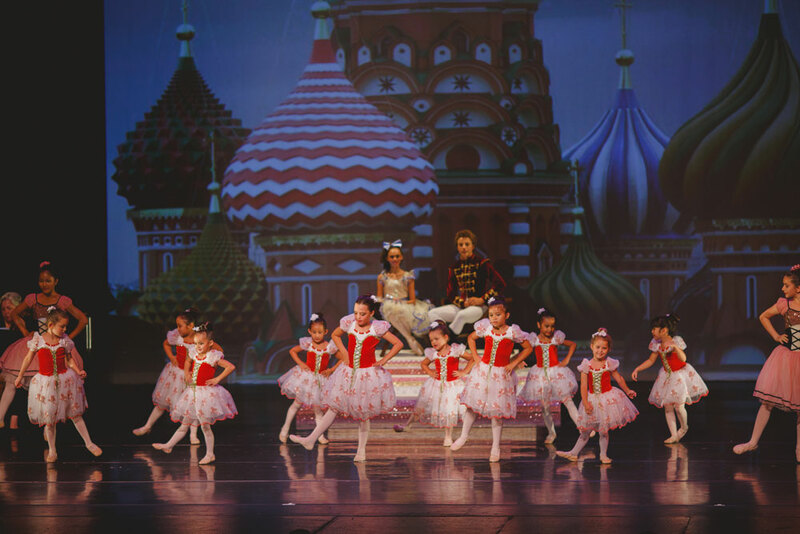 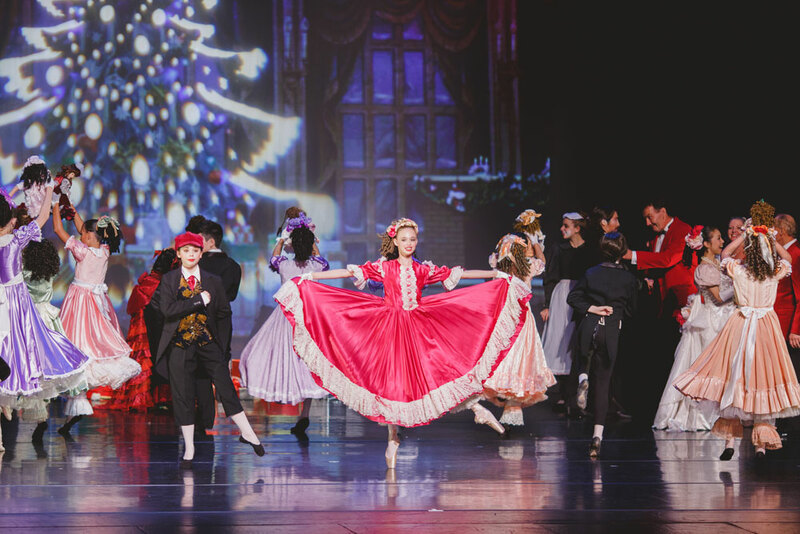 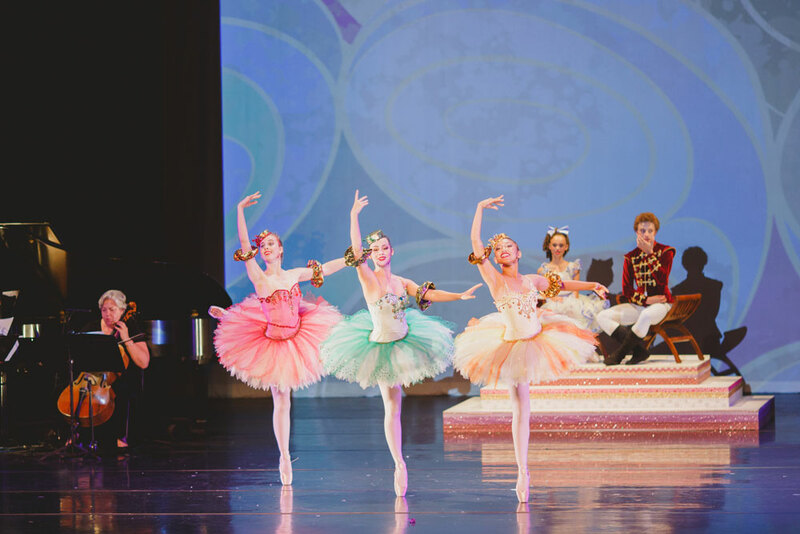 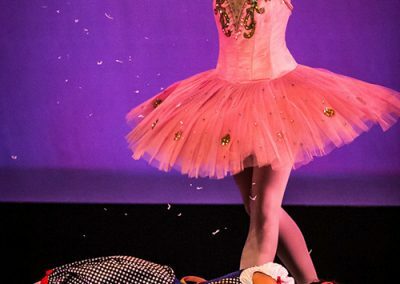 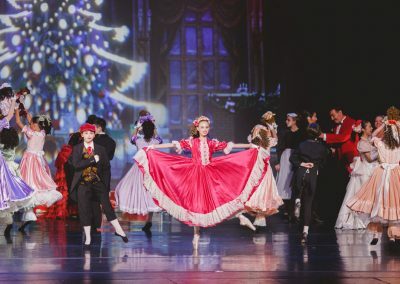 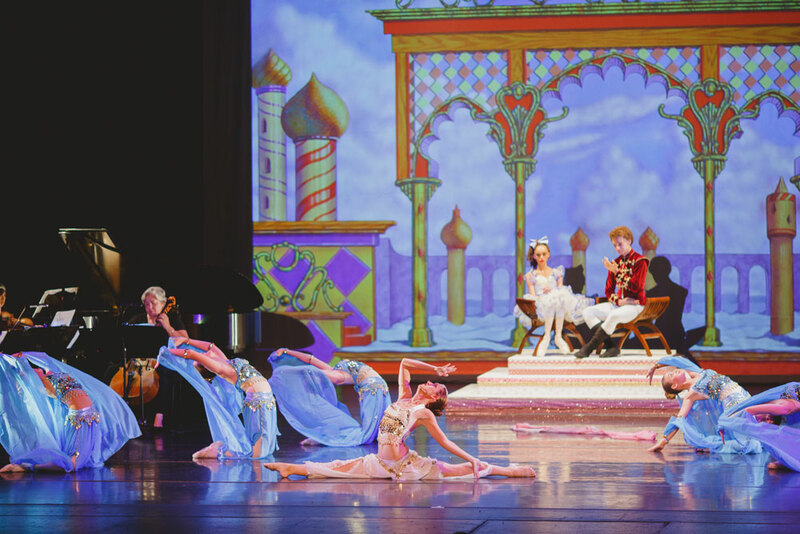 Not having performed the full version since 1997, WHDTA revived the full version of The Nutcracker with lovingly refurbished costumes, a new sled and exciting theatrical accoutrements such as falling snow and stage fog. 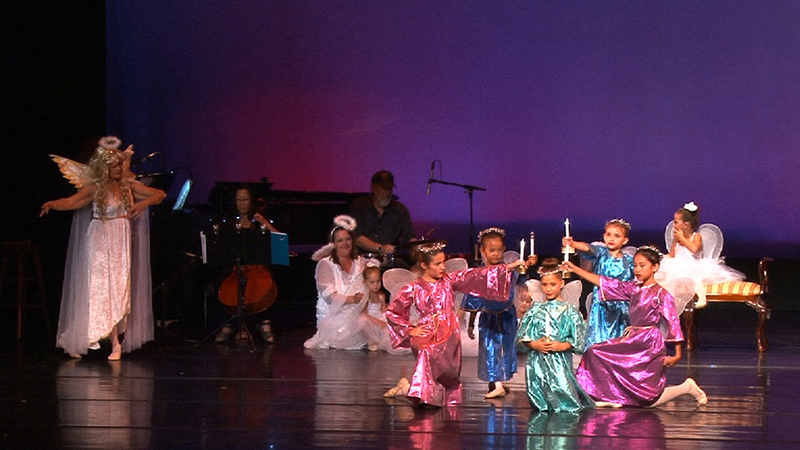 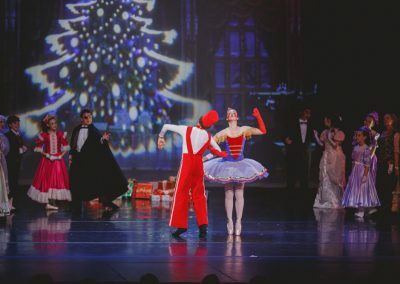 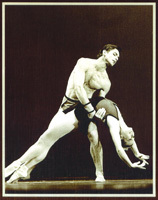 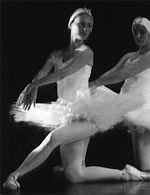 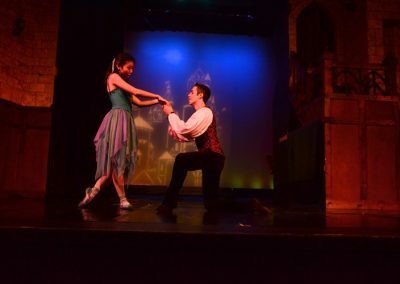 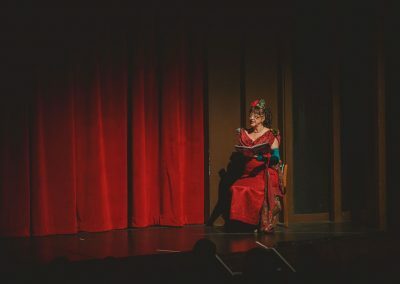 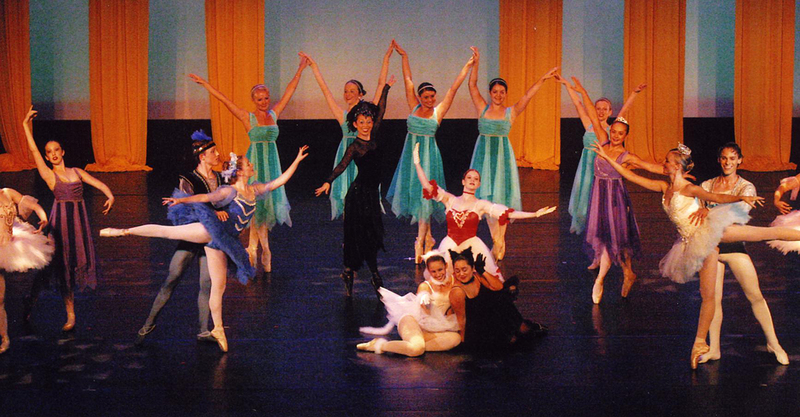 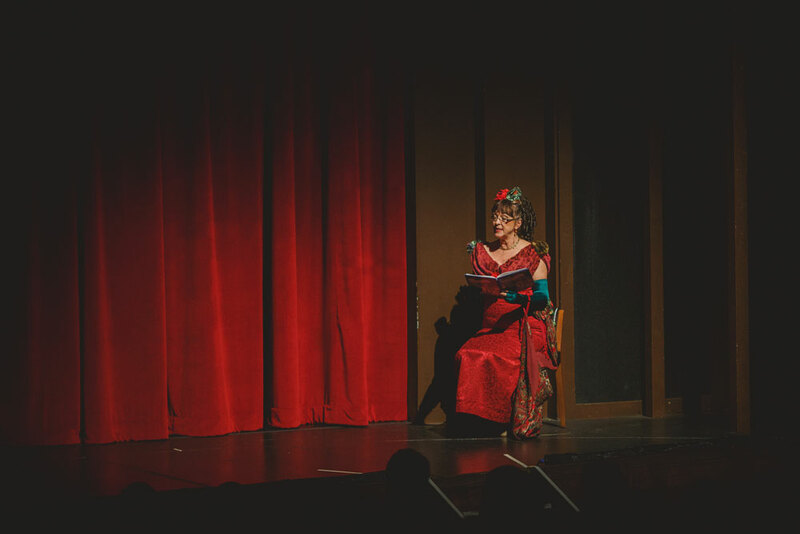 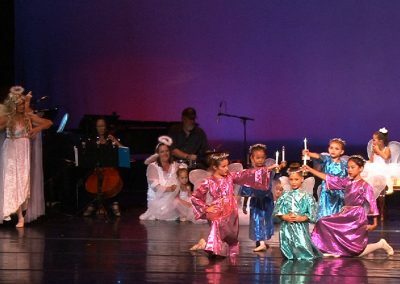 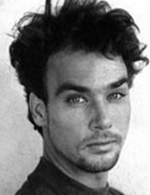 Making this revival complete, some performers from the 1997 performance were able to return and dance in more senior roles for this production, making it an extra special holiday performance. 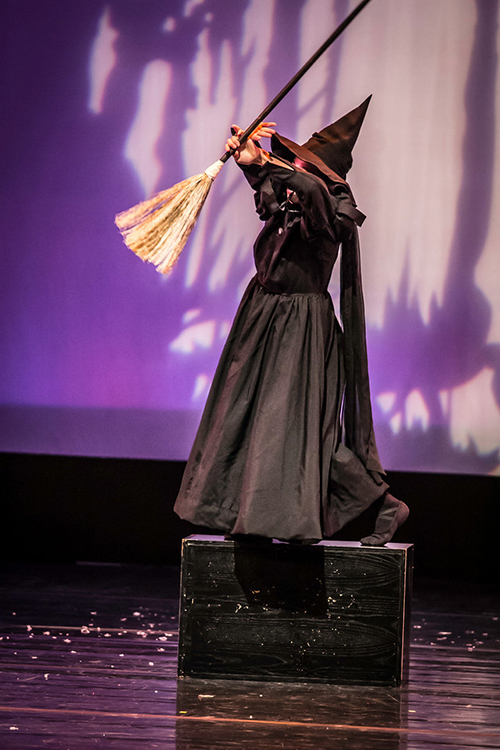 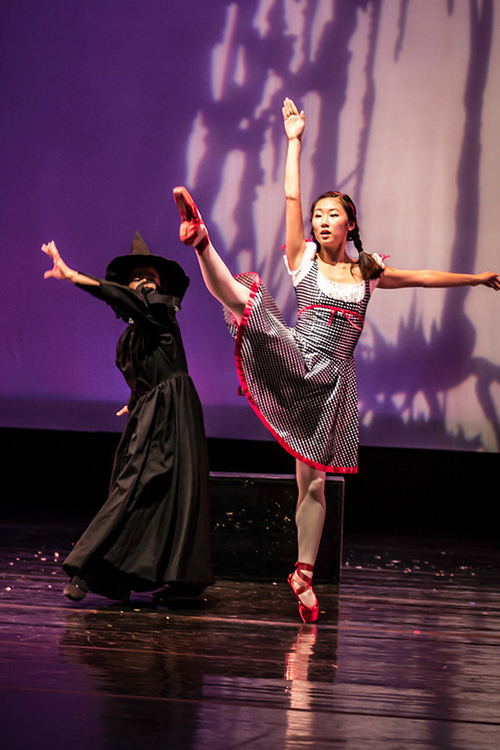 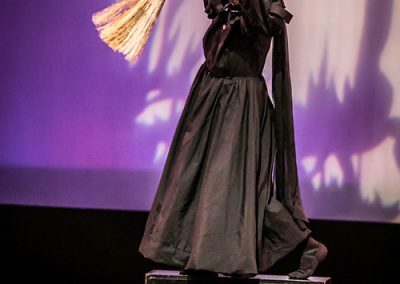 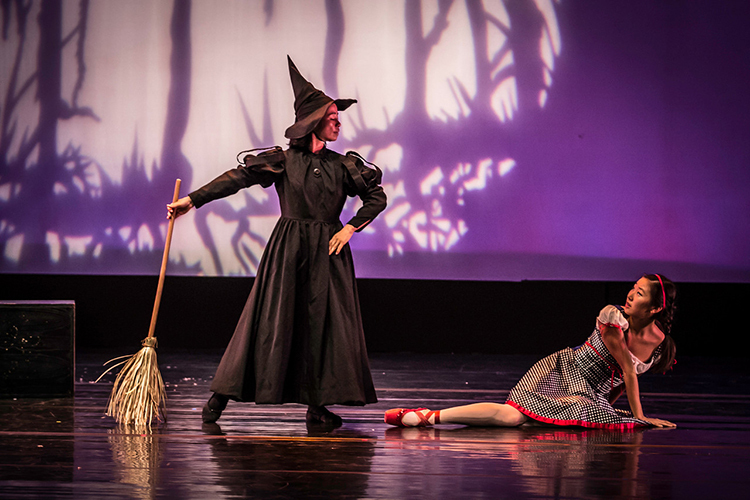 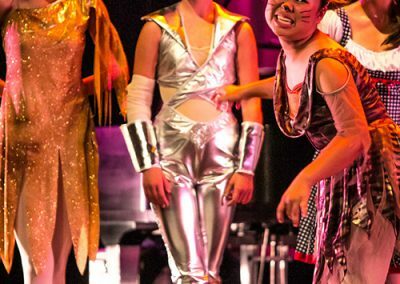 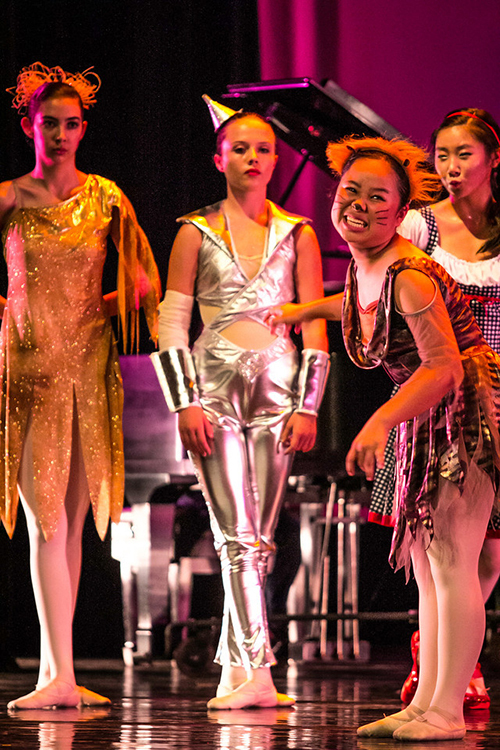 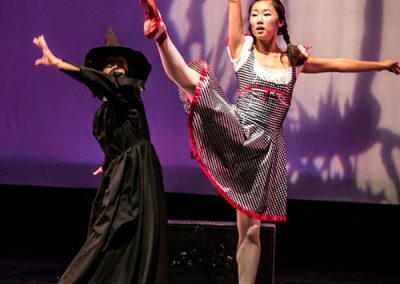 The Wizard of Oz celebrated its 75th anniversary this year, so we developed this production as an hômage, with an extra special appearance by our very own Midori Satoh, Assistant Director of WHDTA, performing at the Wicked Witch of the West. 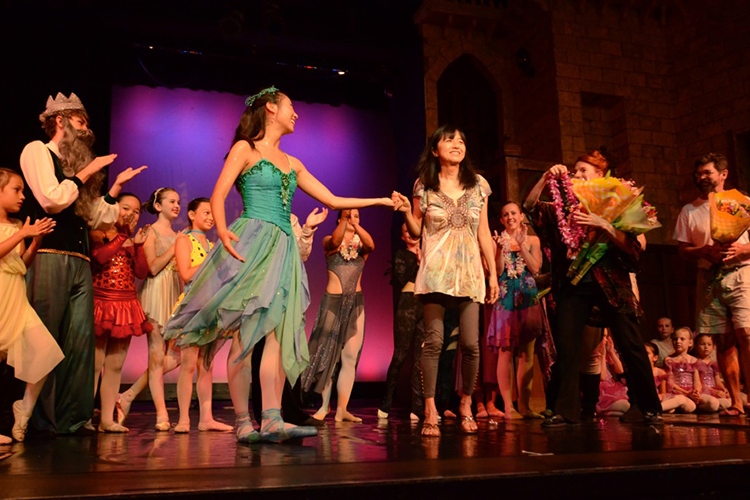 Featuring dozens of students and pianist Megumi Kopp, the classic story tells the tale of Ariel, a free-spirited mermaid who embarks on the adventure of a lifetime. 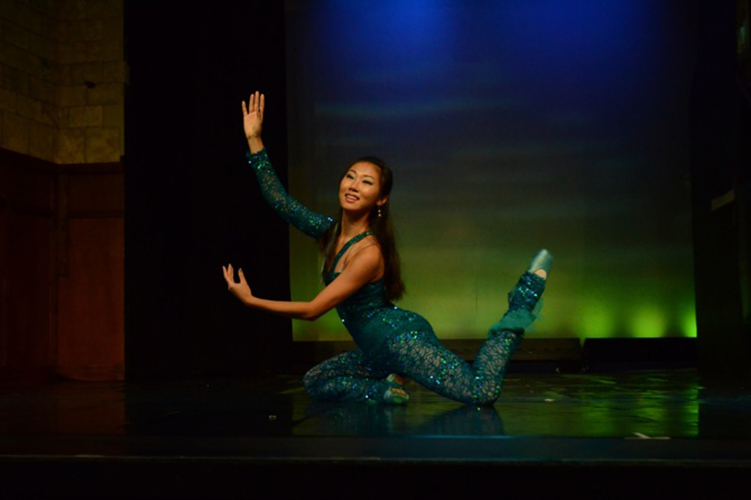 Joining Ariel are her best friends: the adorable but shy Flounder; a reggae singing Caribbean crab Sebastian, and her “on land” bird friend, Scuttle. 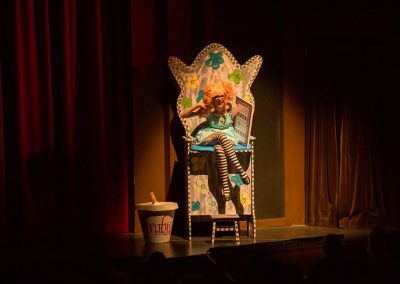 It will take all of Ariel’s courage and determination to make her dreams come true — and save her father’s beloved kingdom from the sneaky sea witch Ursula.